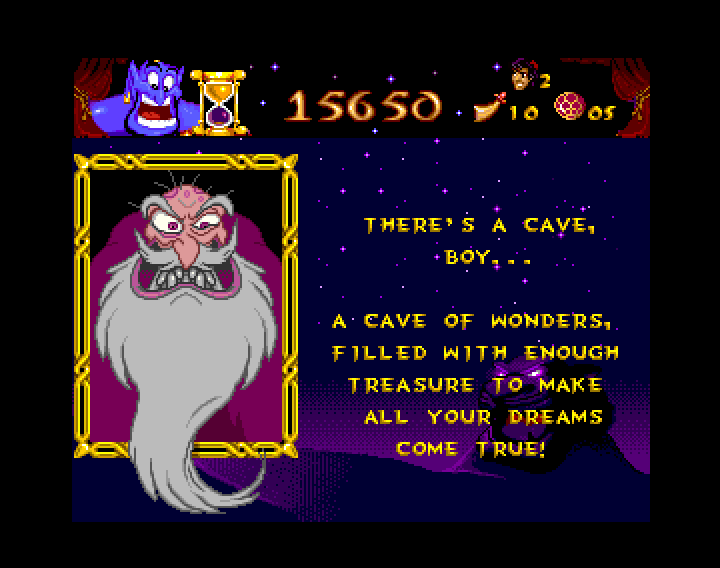 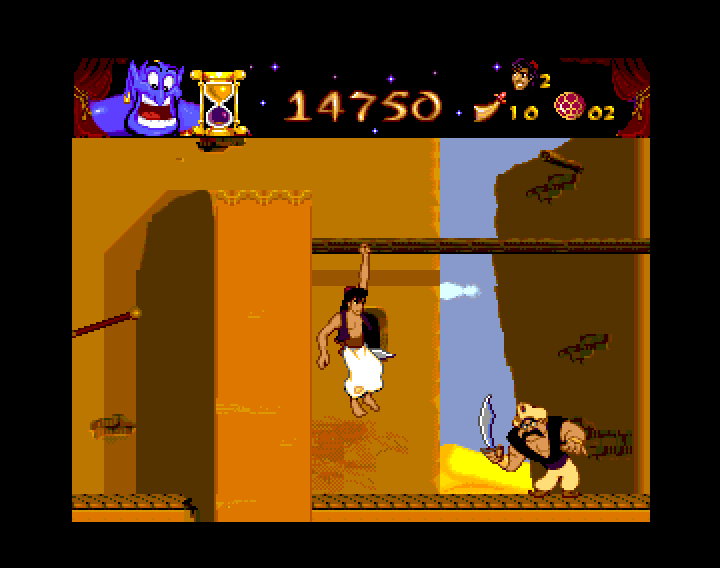 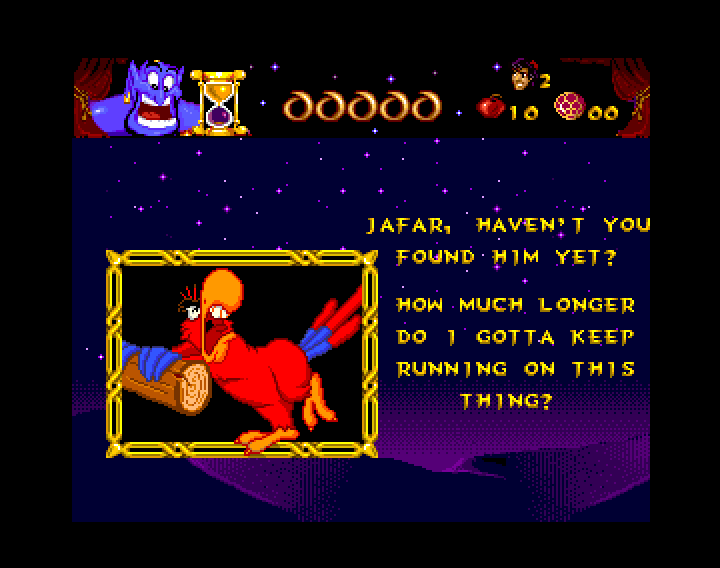 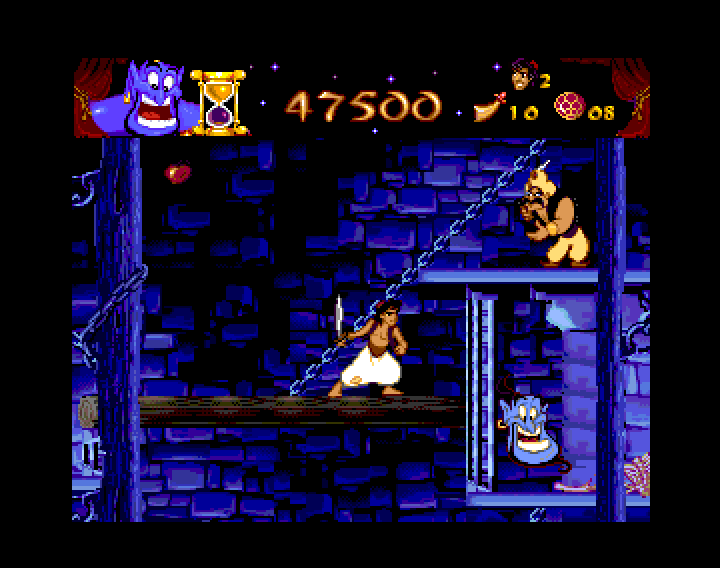 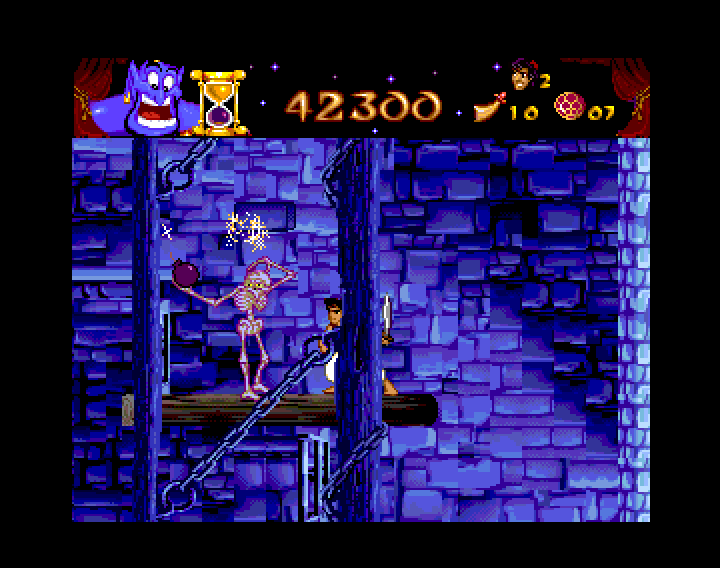 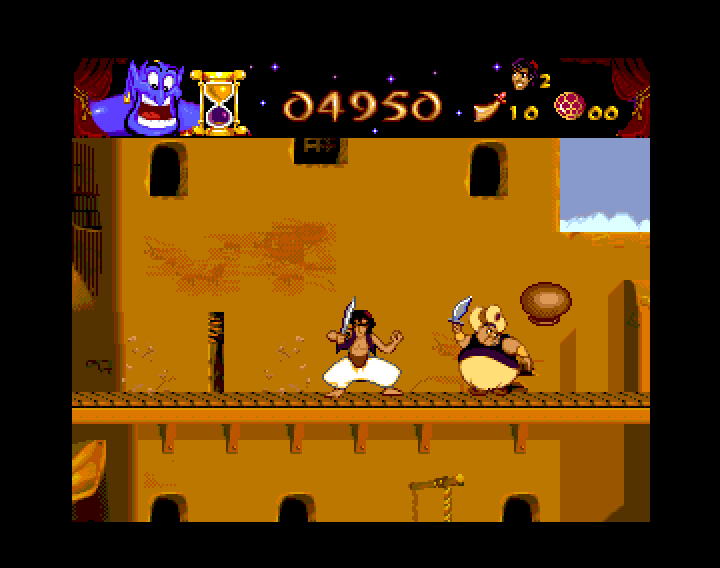 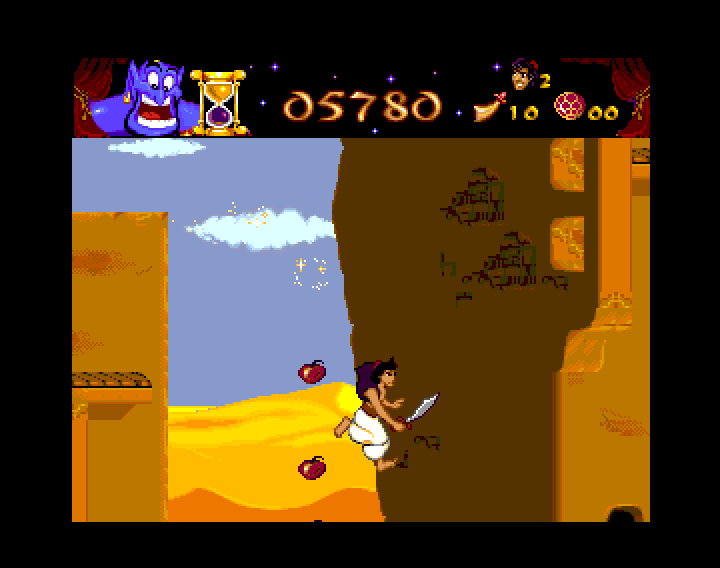 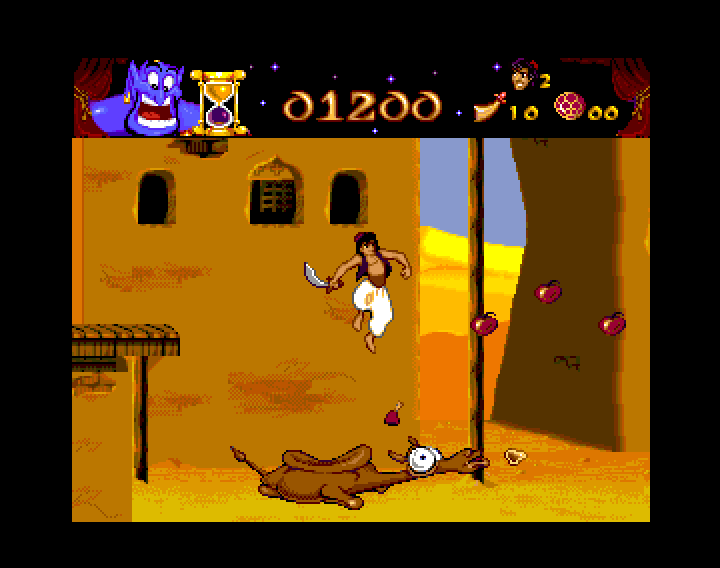 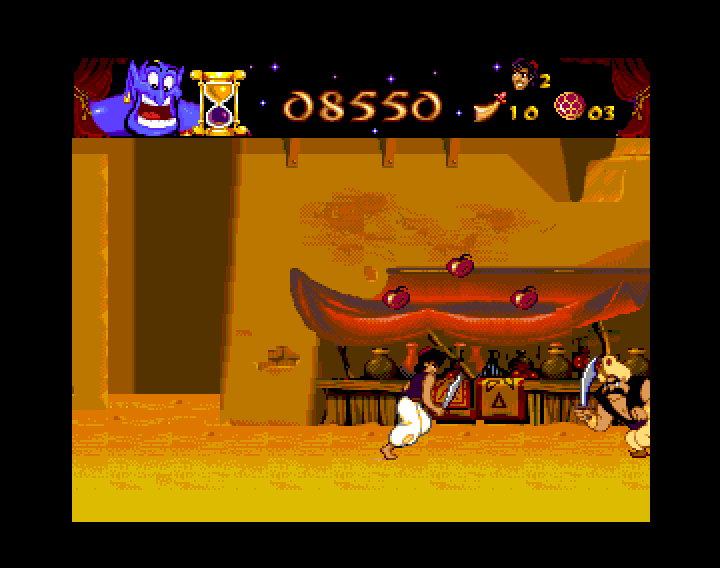 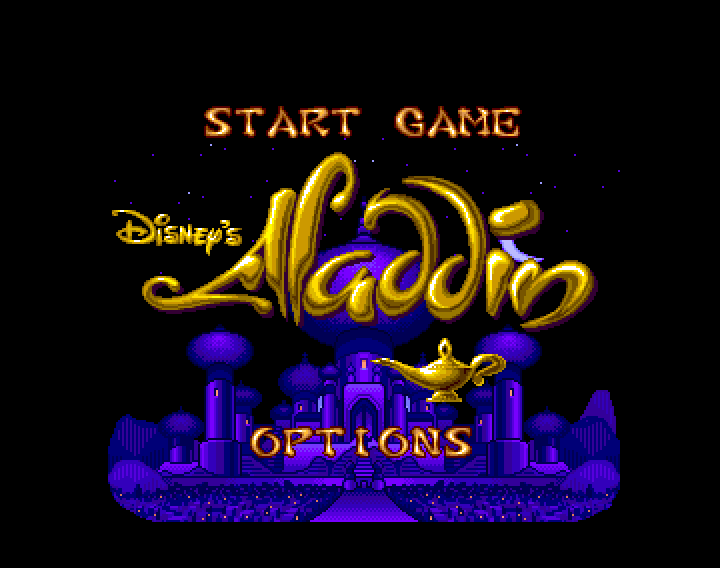 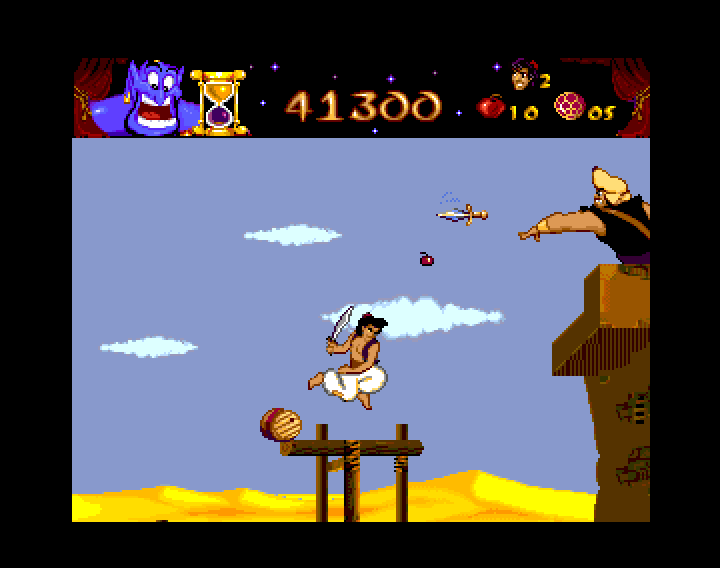 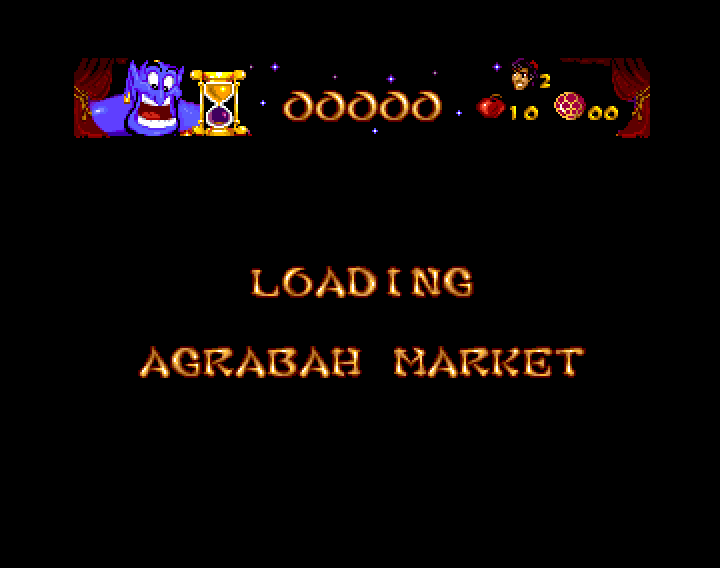 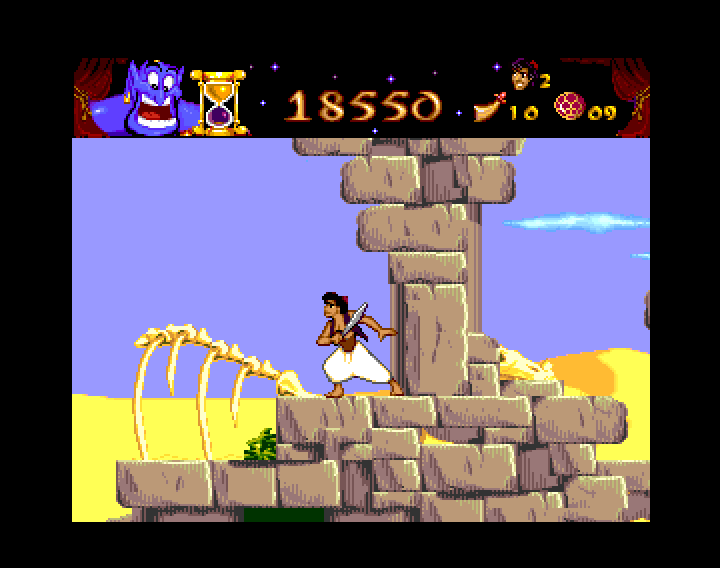 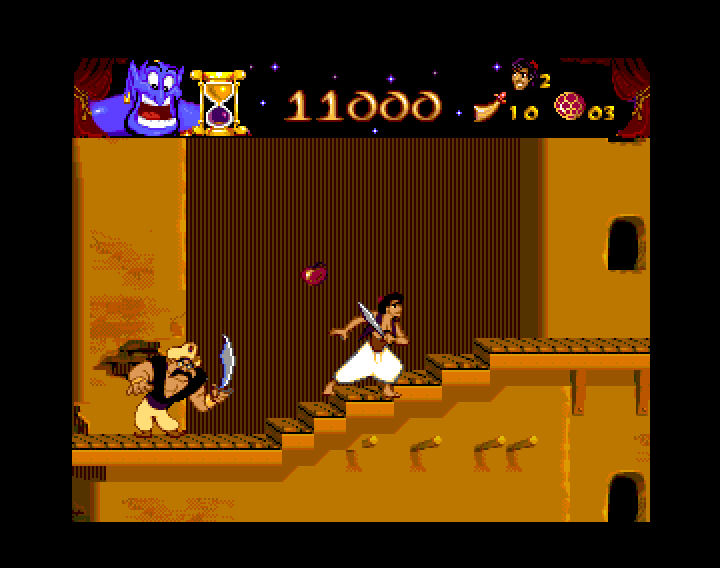 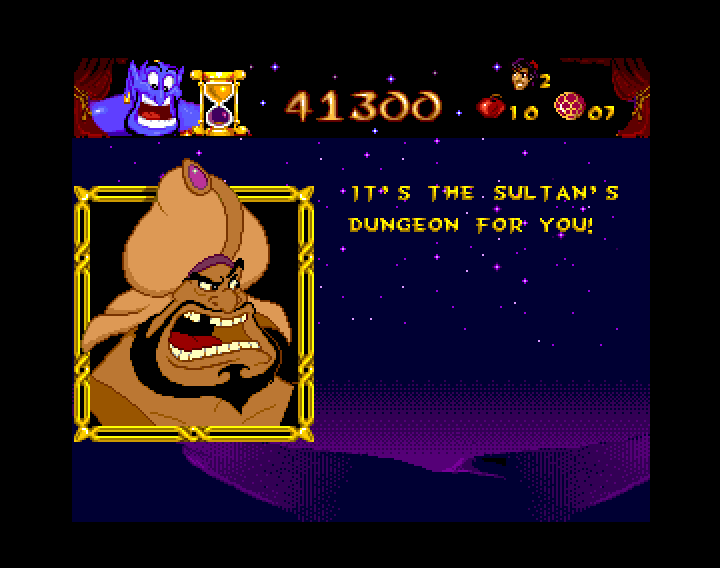 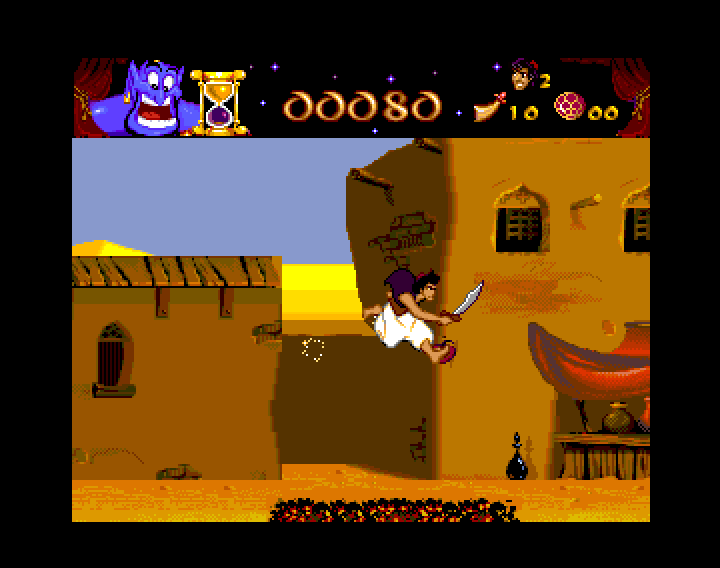 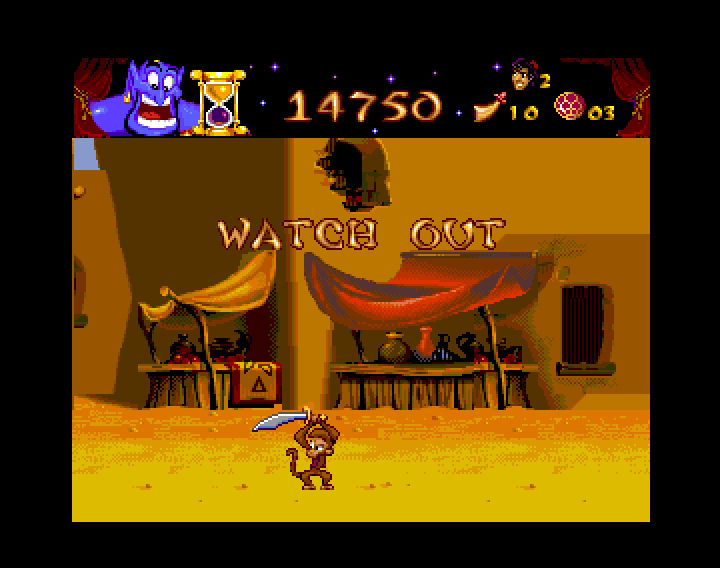 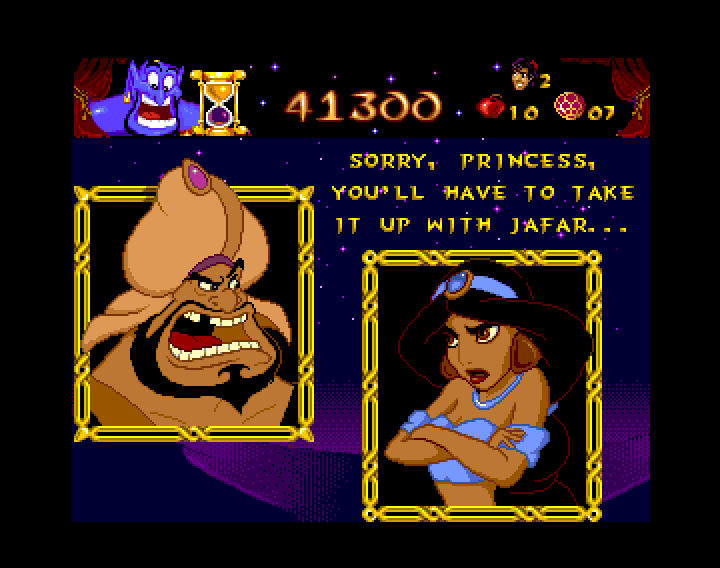 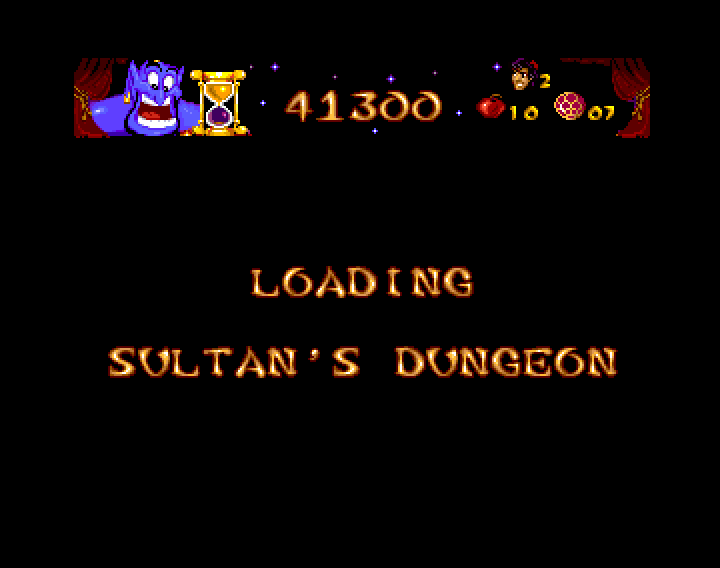 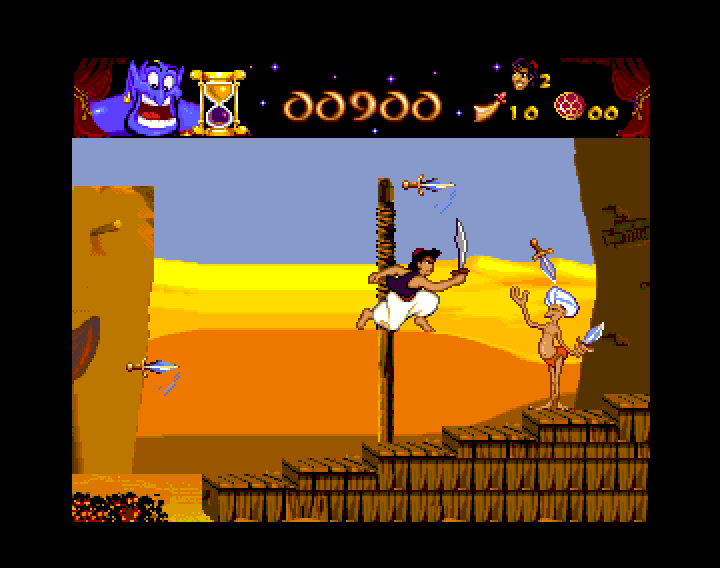 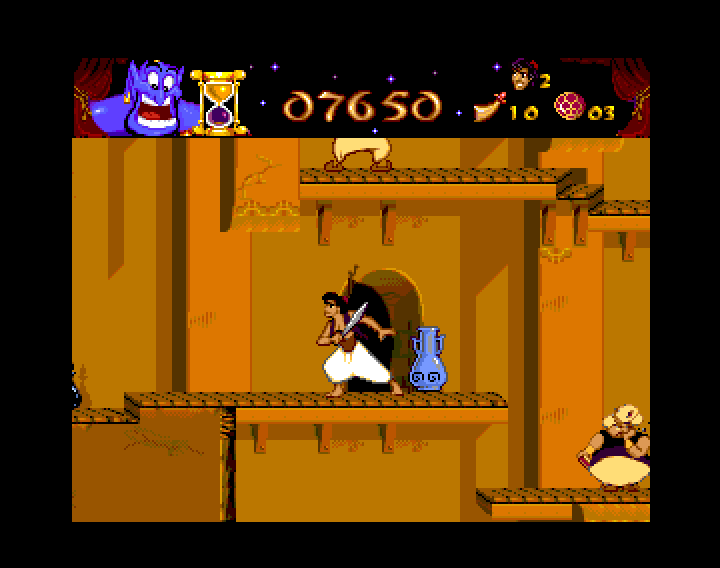 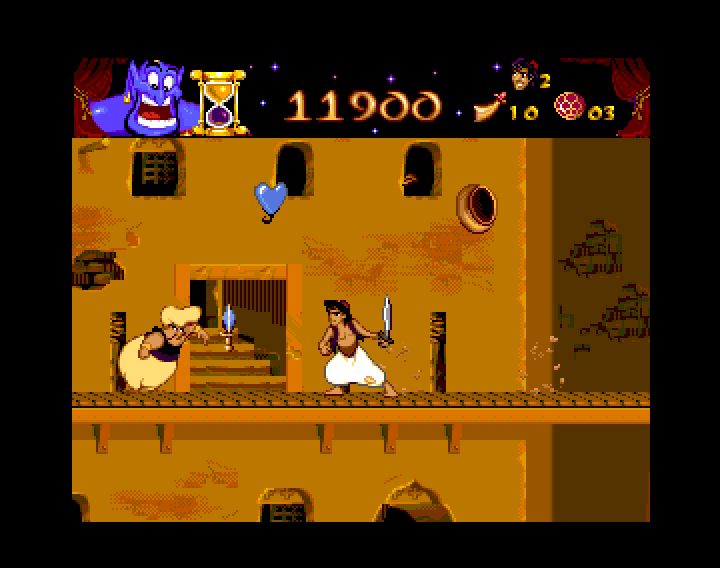 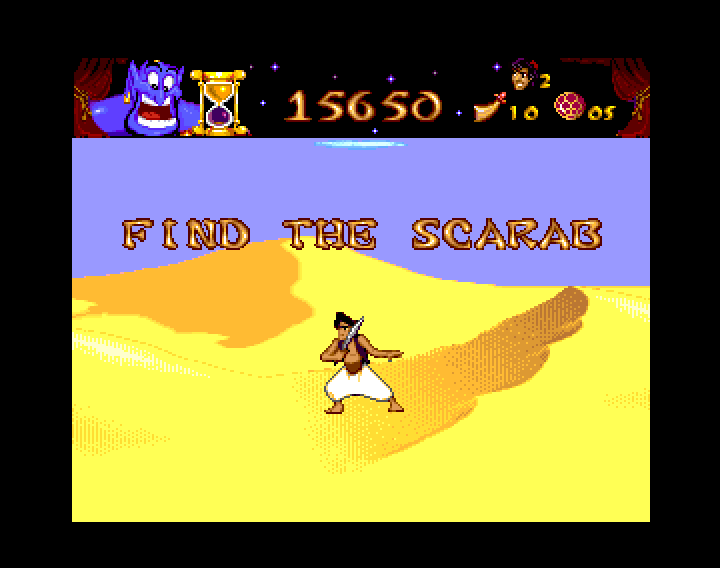 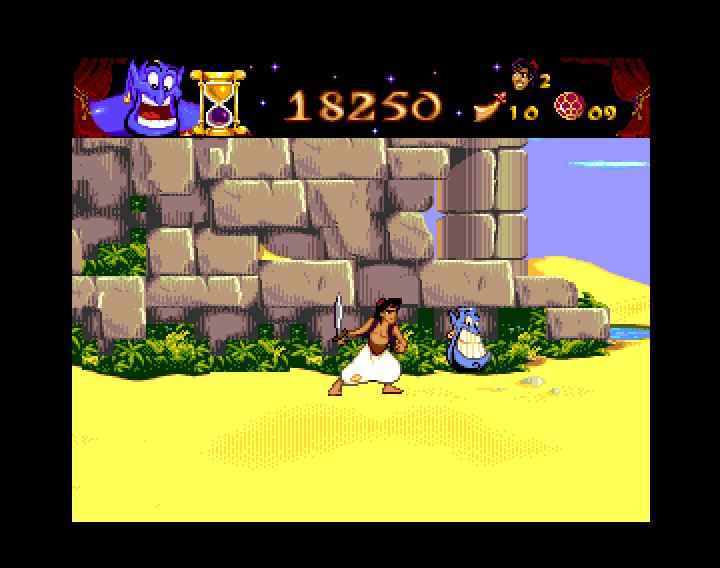 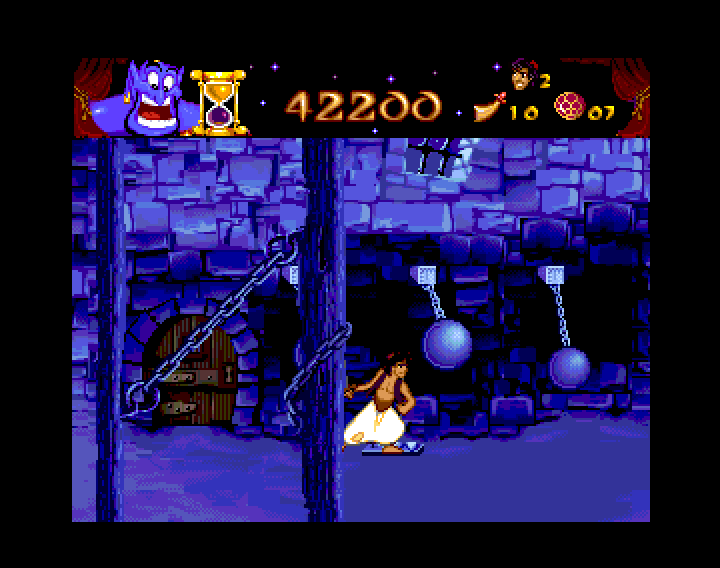 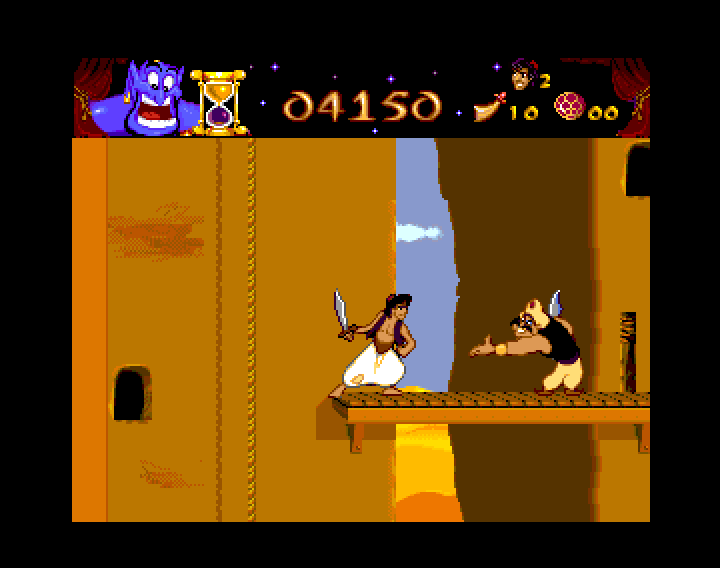 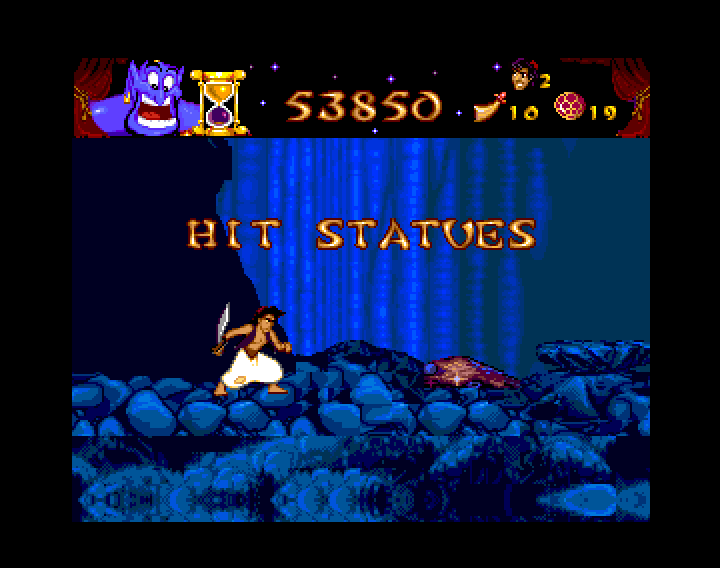 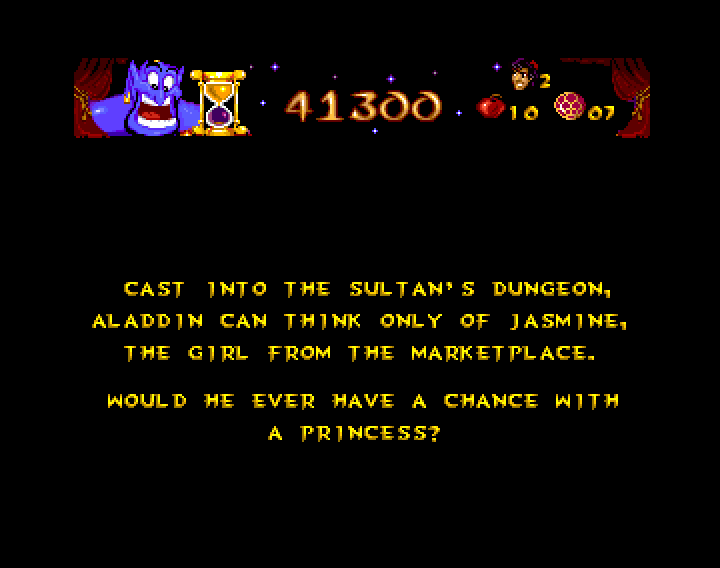 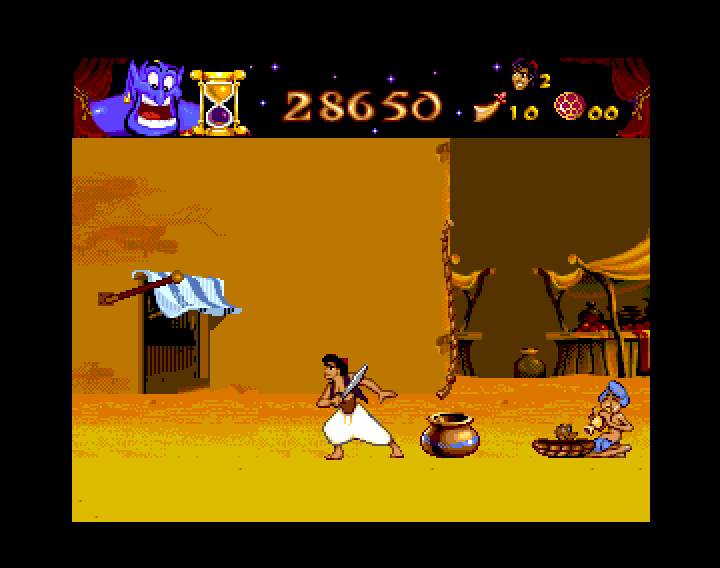 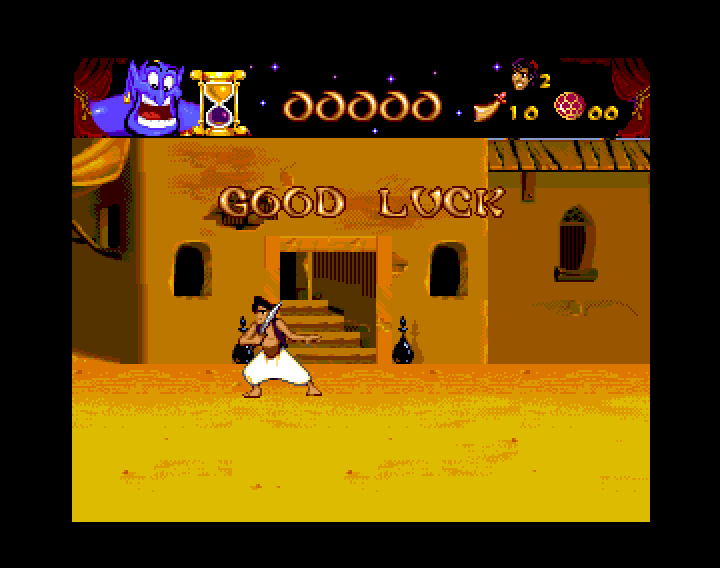 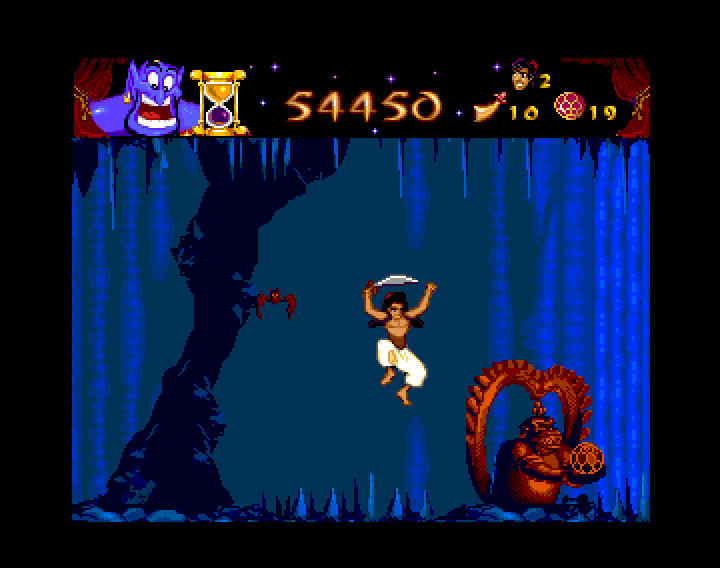 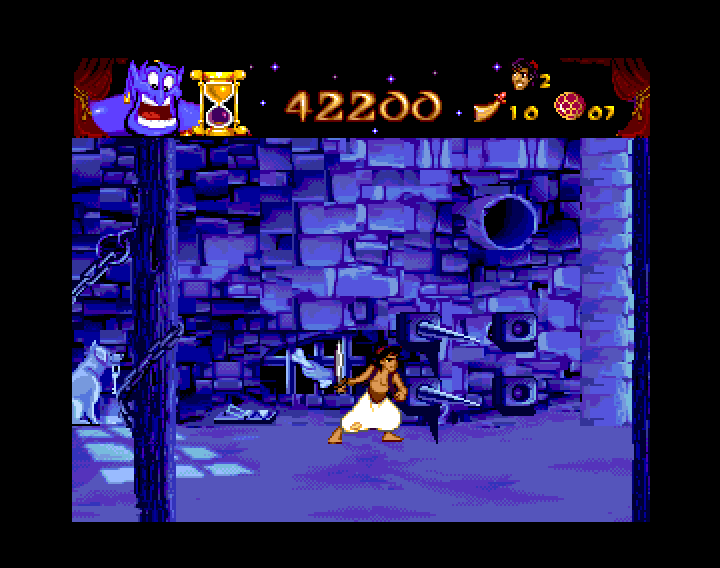 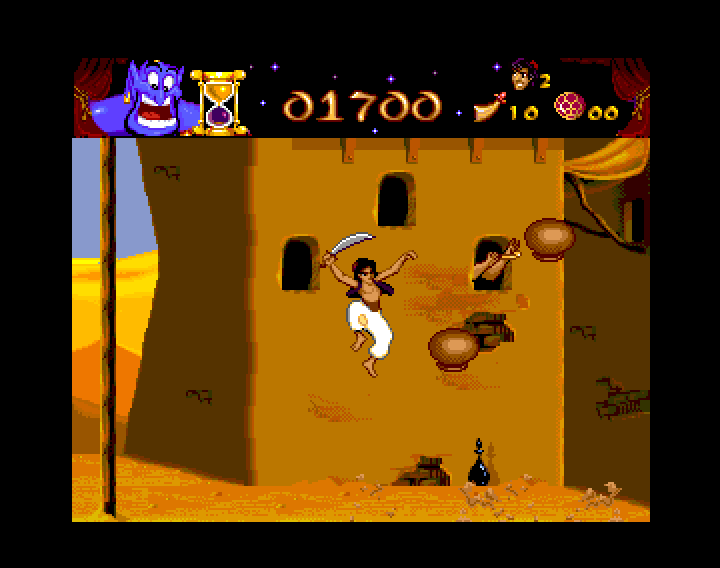 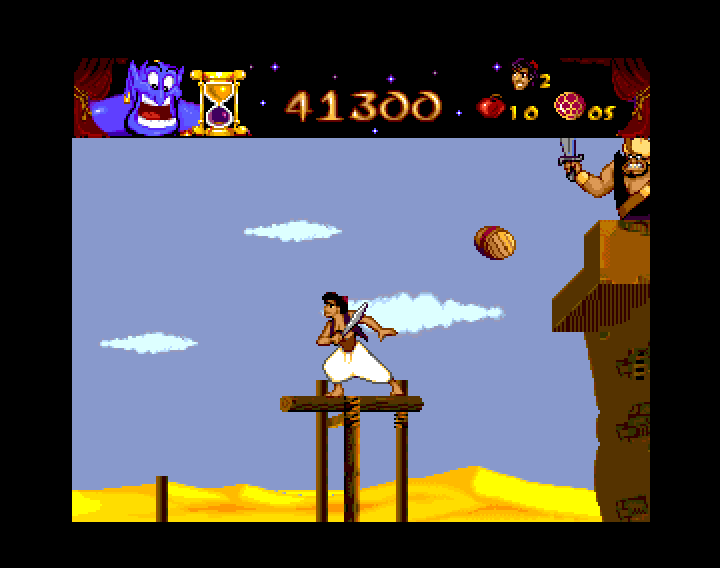 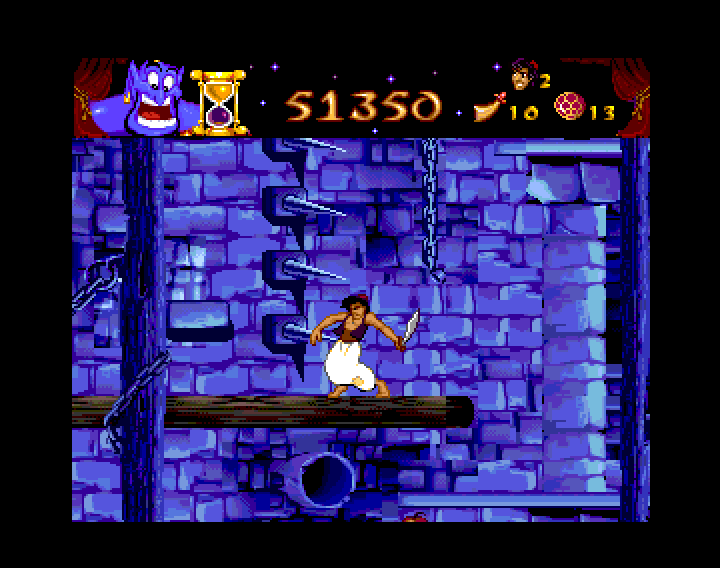 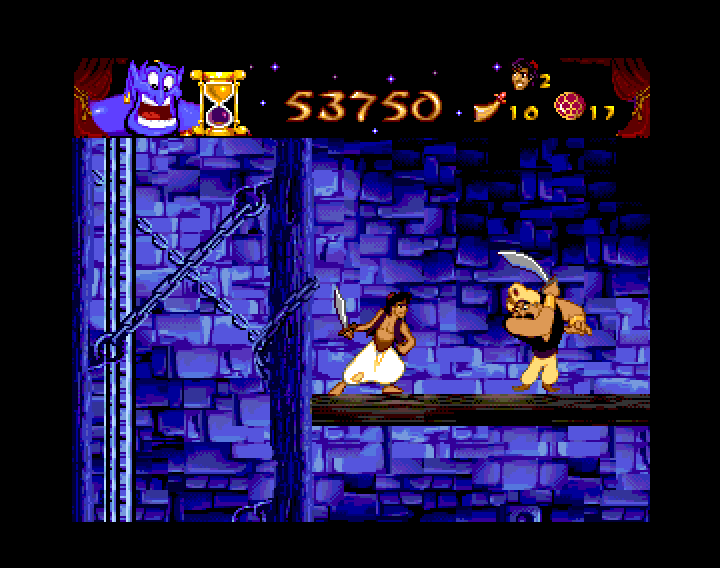 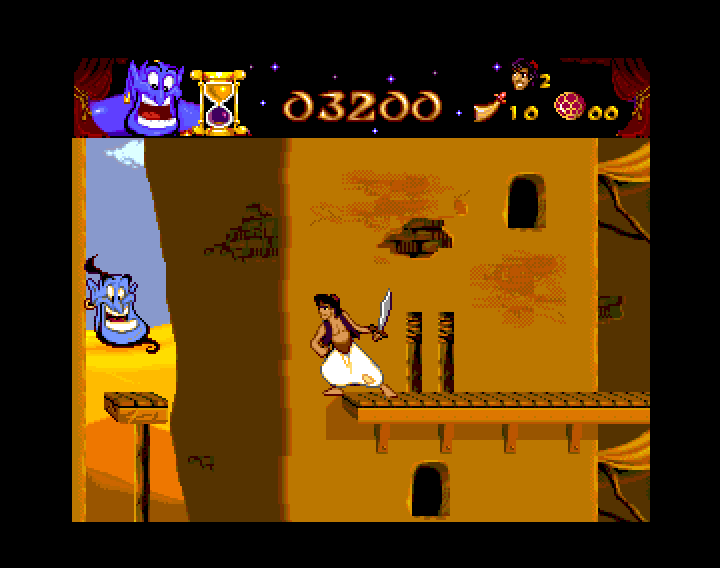 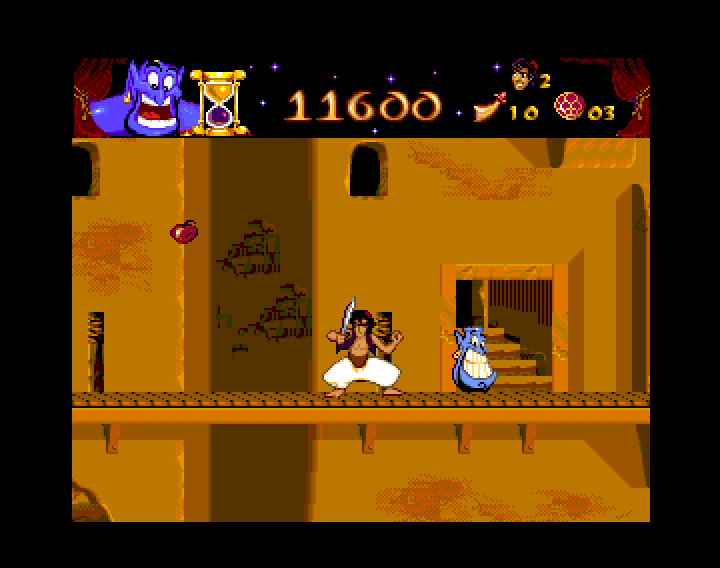 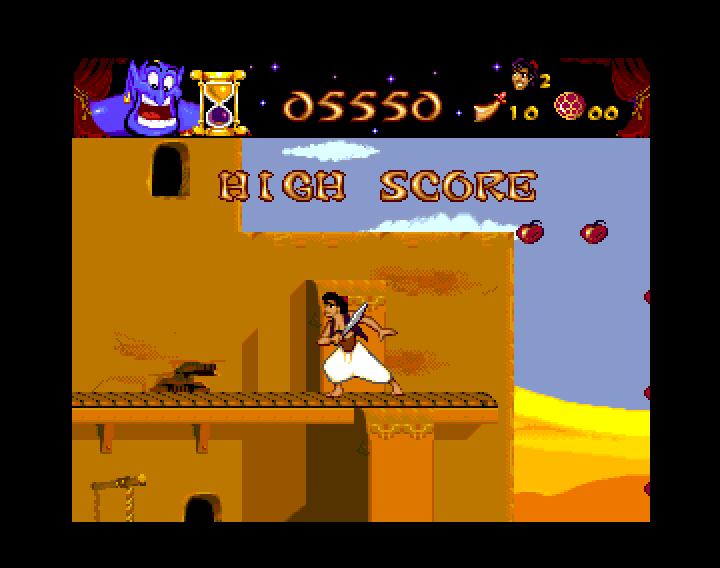 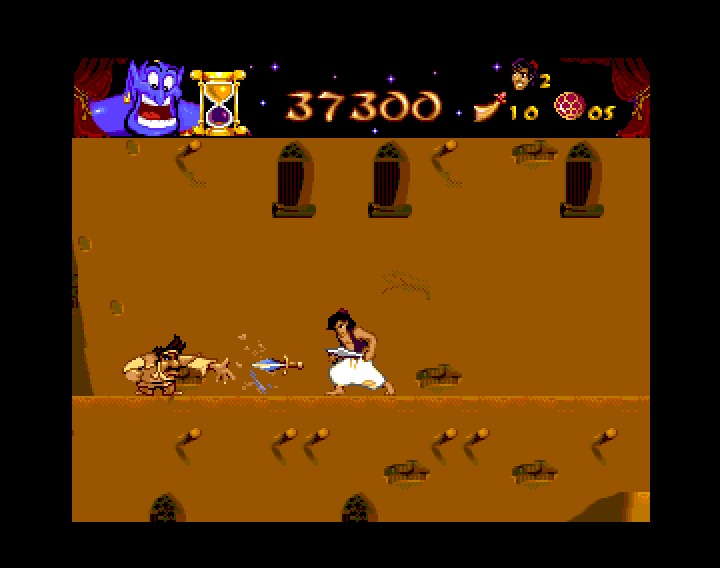 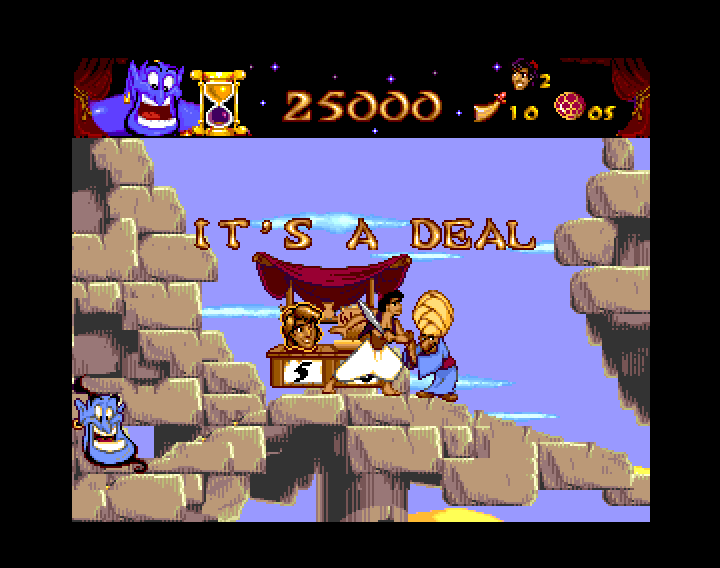 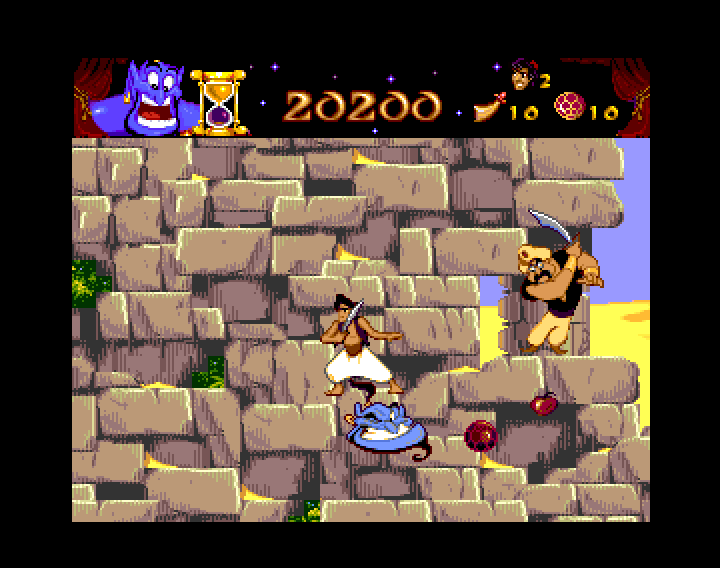 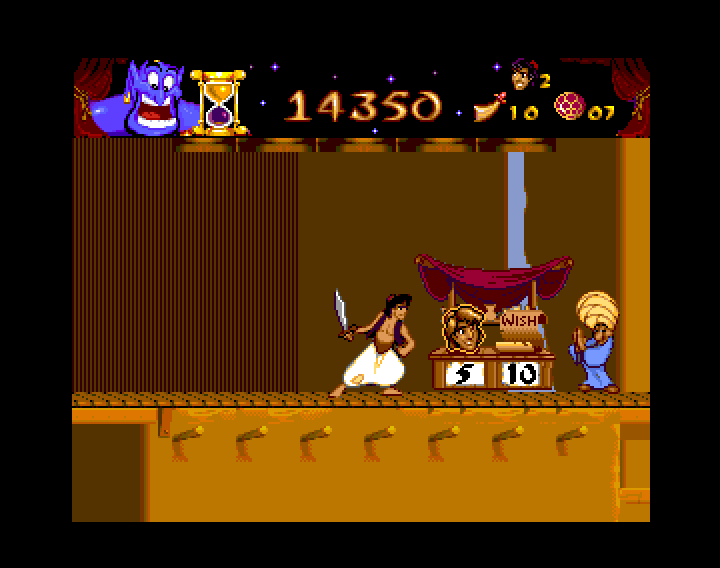 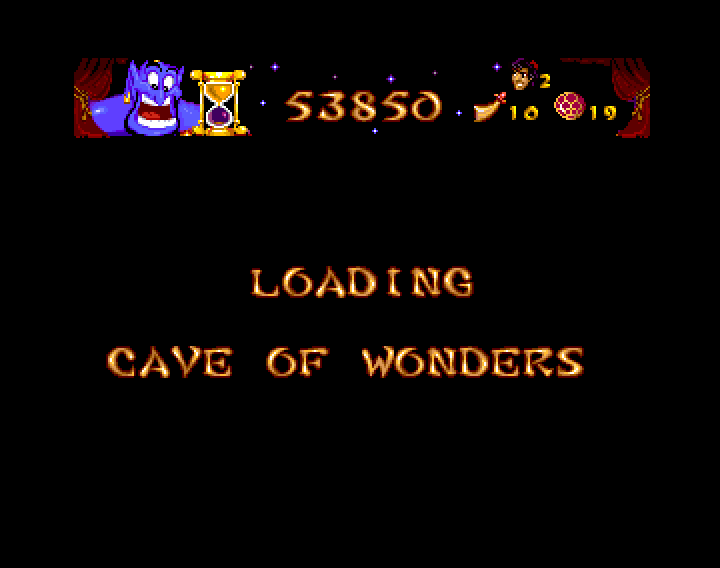 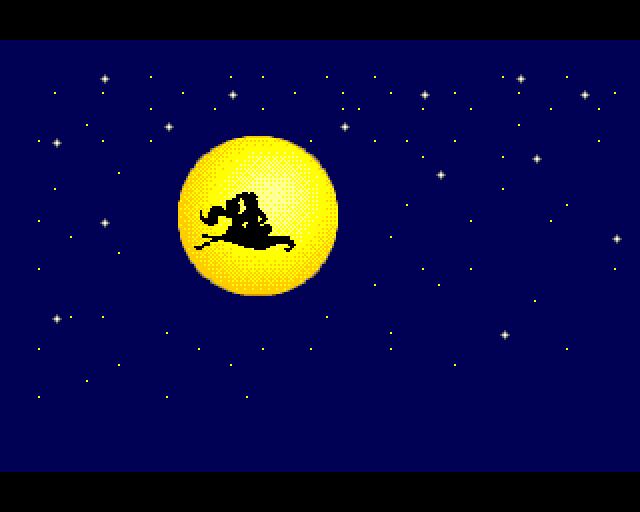 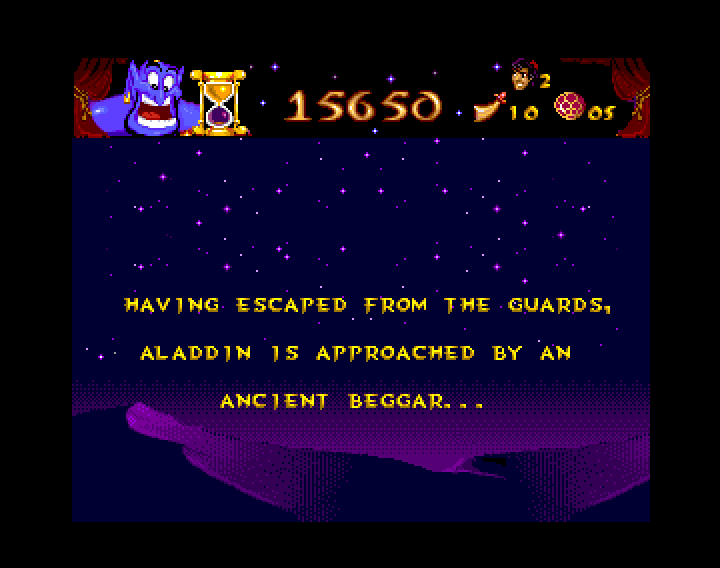 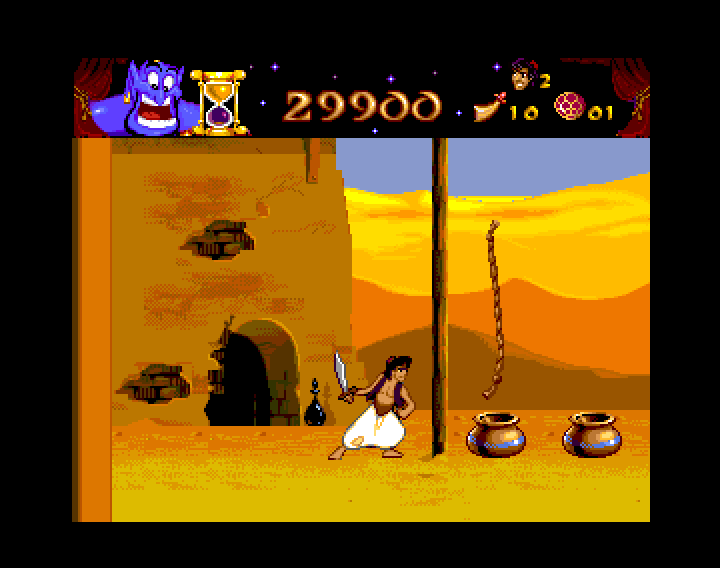 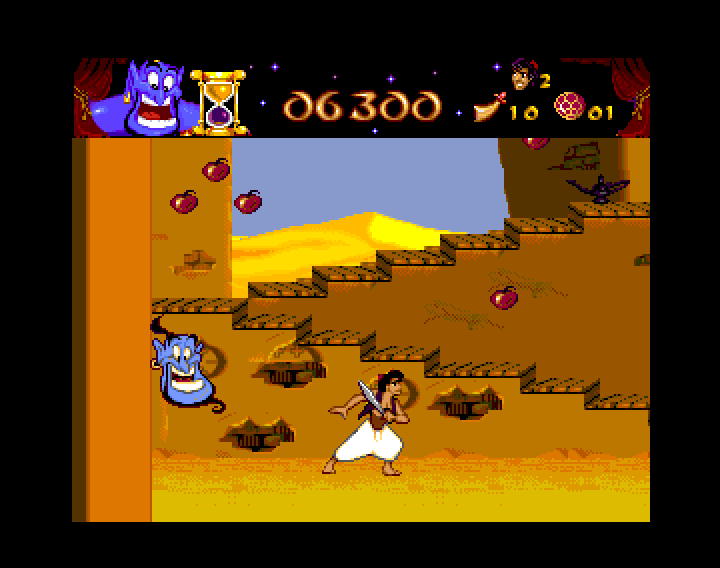 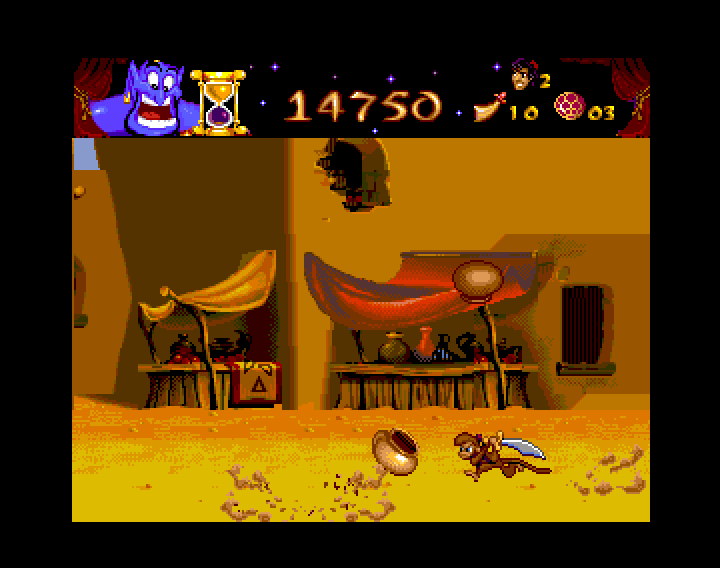 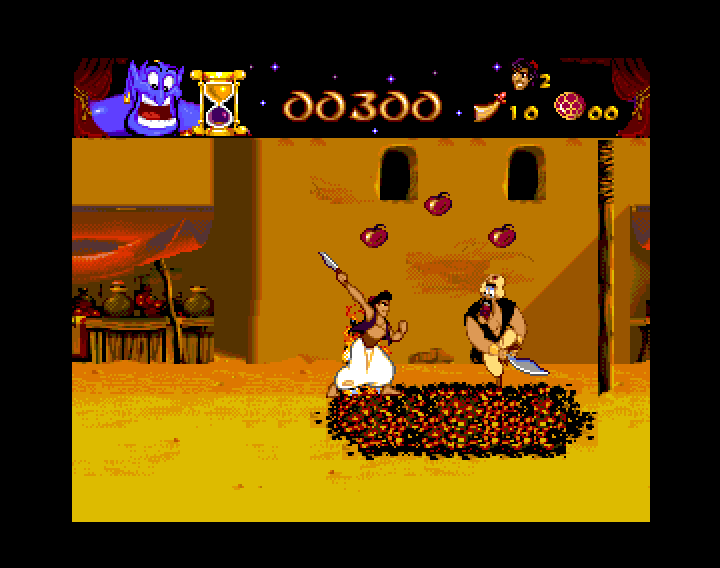 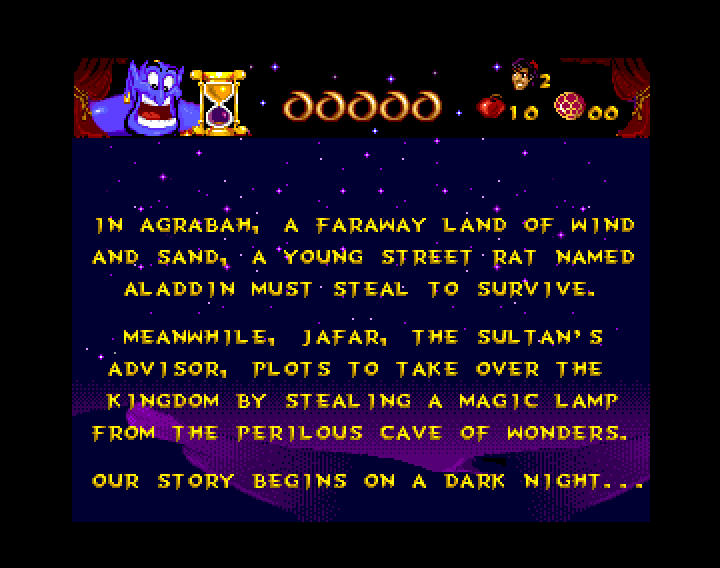 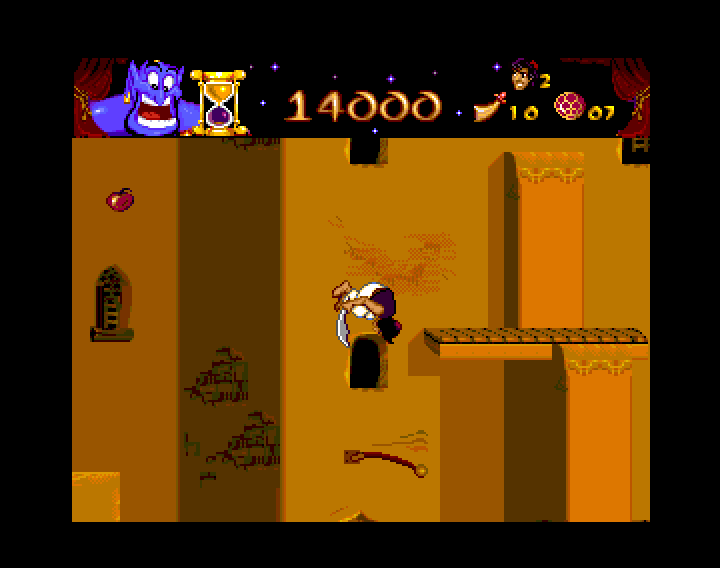 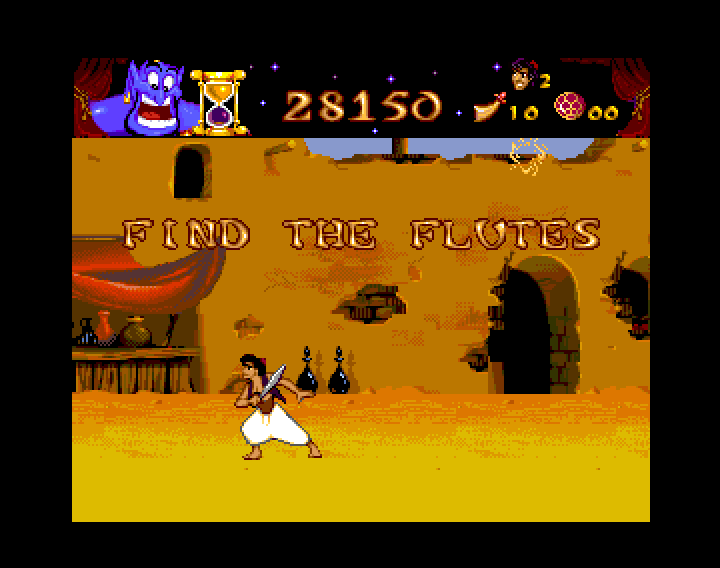 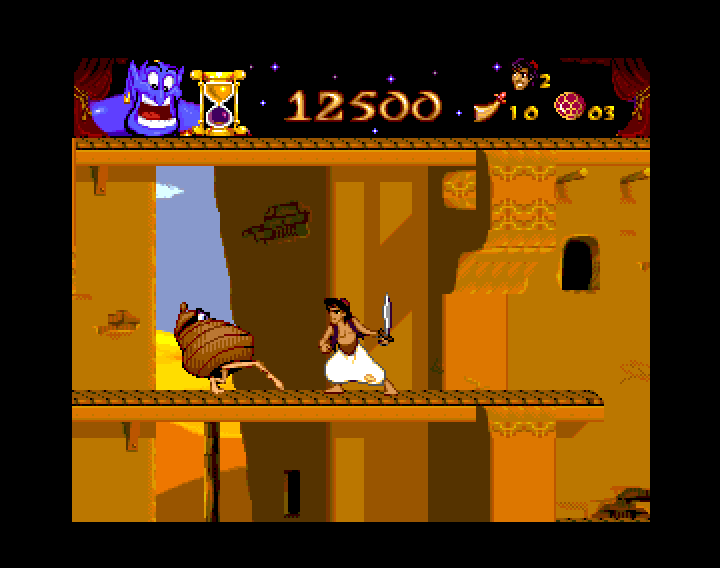 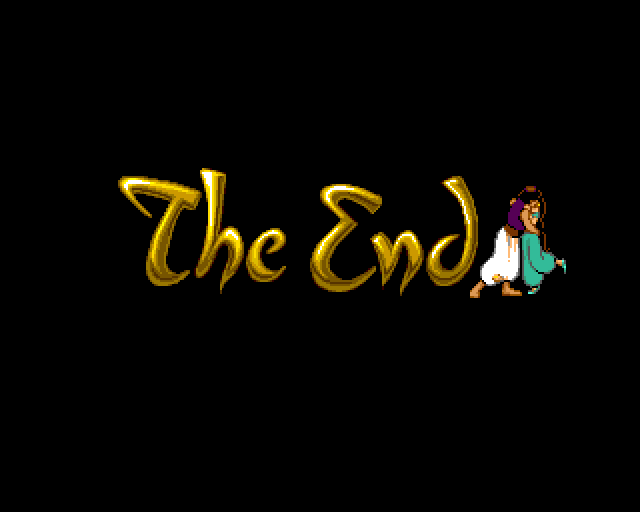 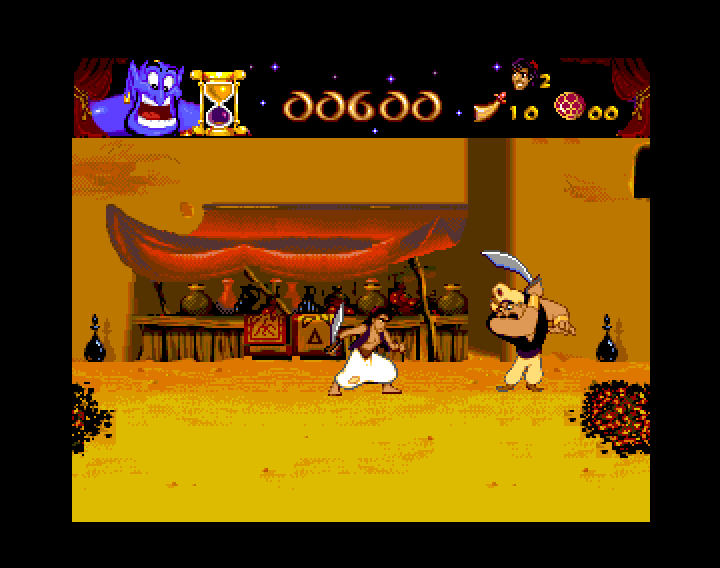 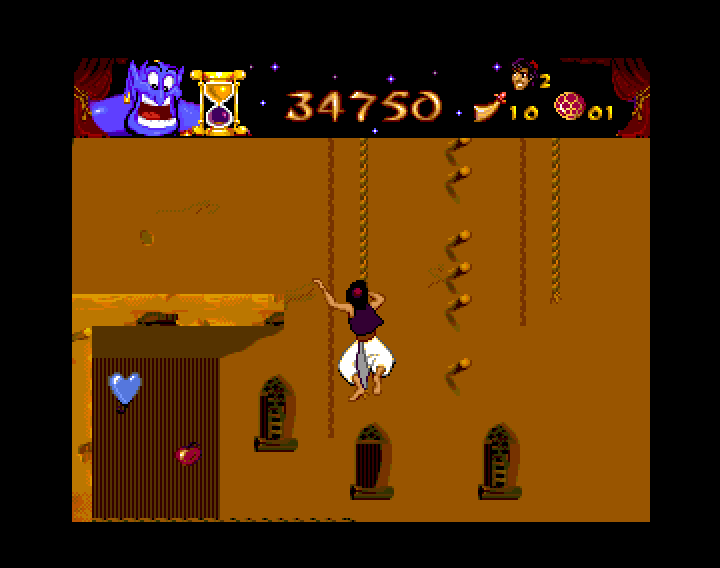 The Nintendo SNES, Sega Master System and Sega Game Gear versions of Aladdin were a different game. Whereas the PC and Sega MegaDrive games were the same as the Amiga version. 'F10'_______________Completes level and goes to bonus game. 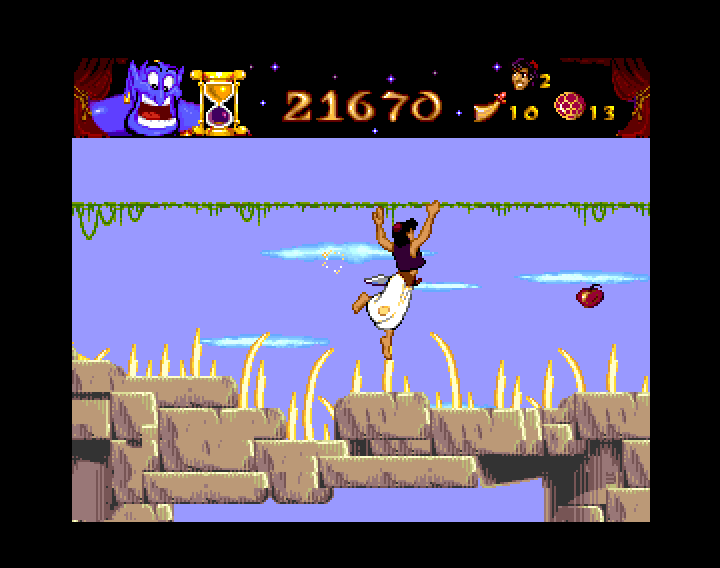 '1'-'9'____Skip to the corresponding level (No bonus game). 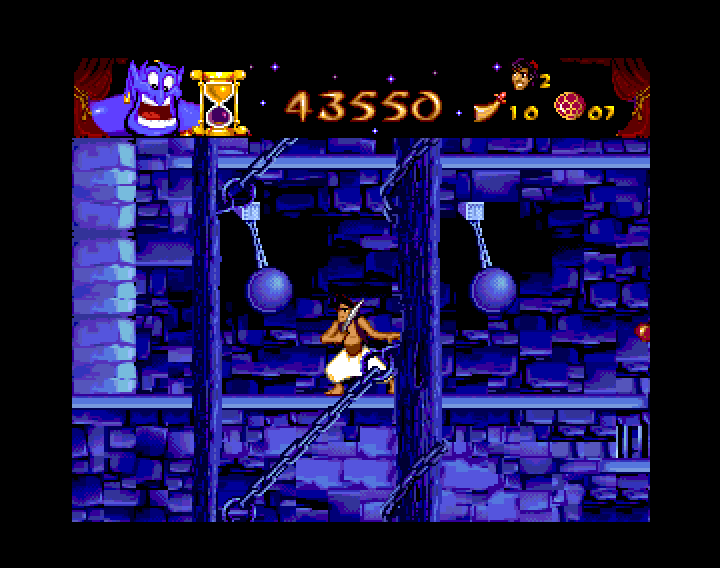 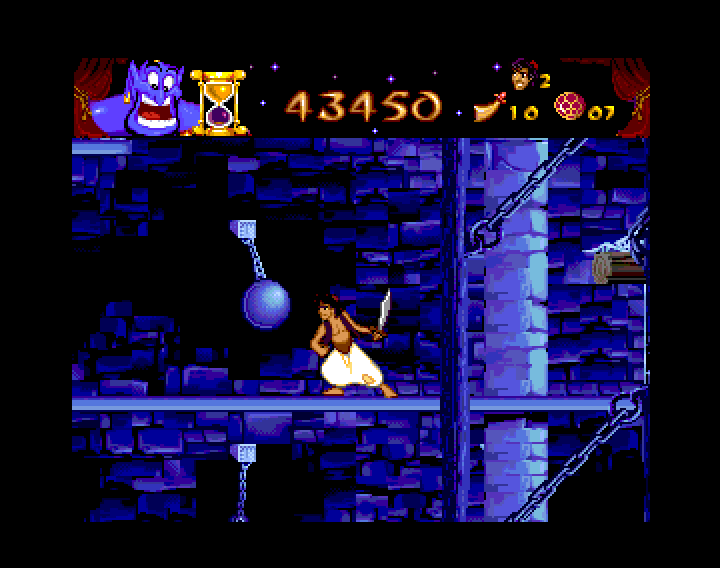 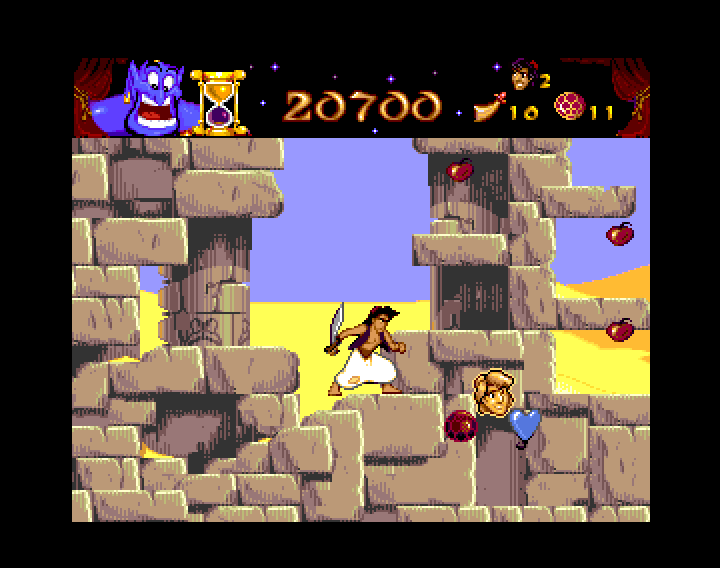 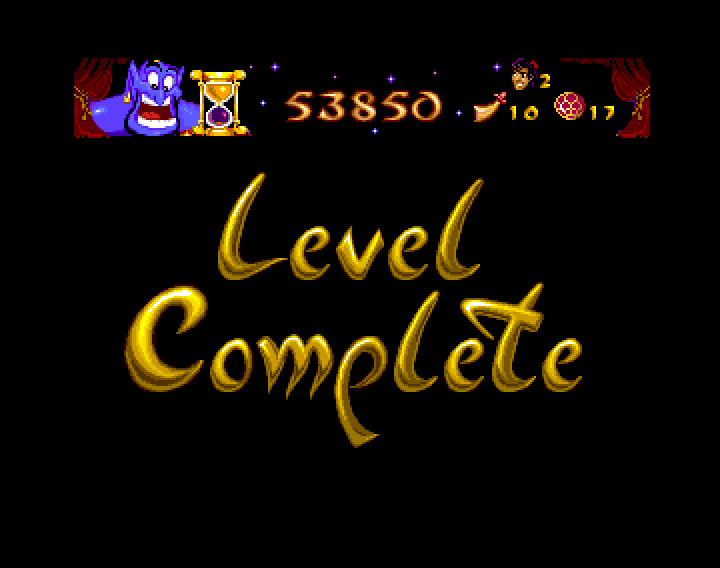 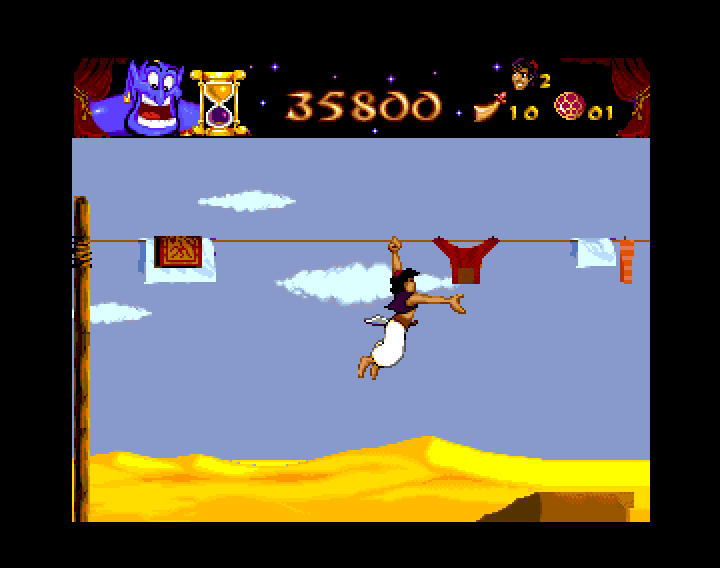 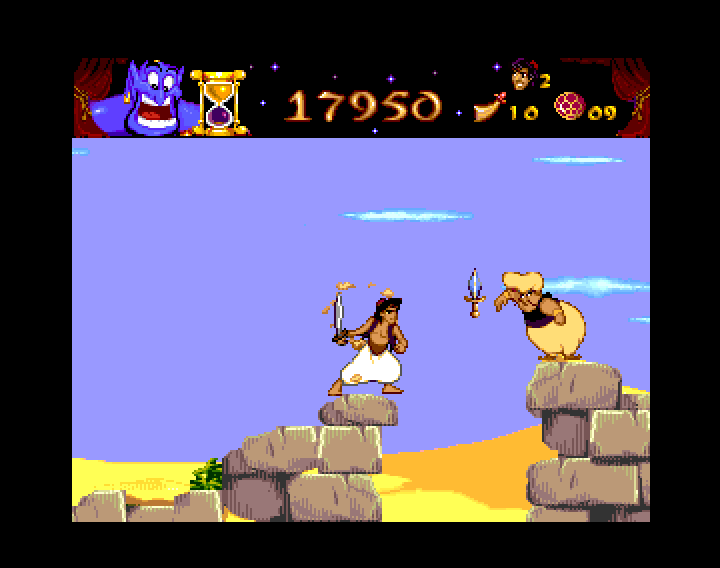 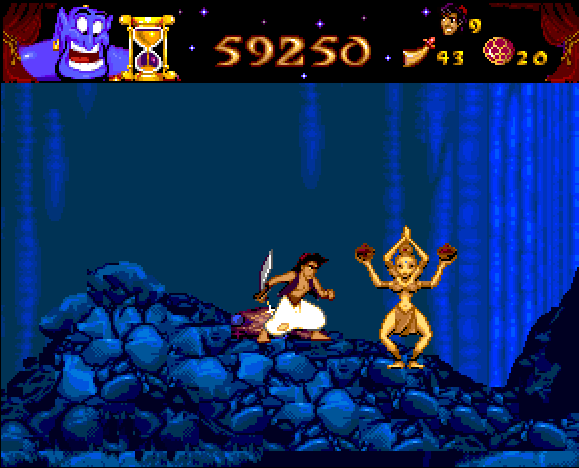 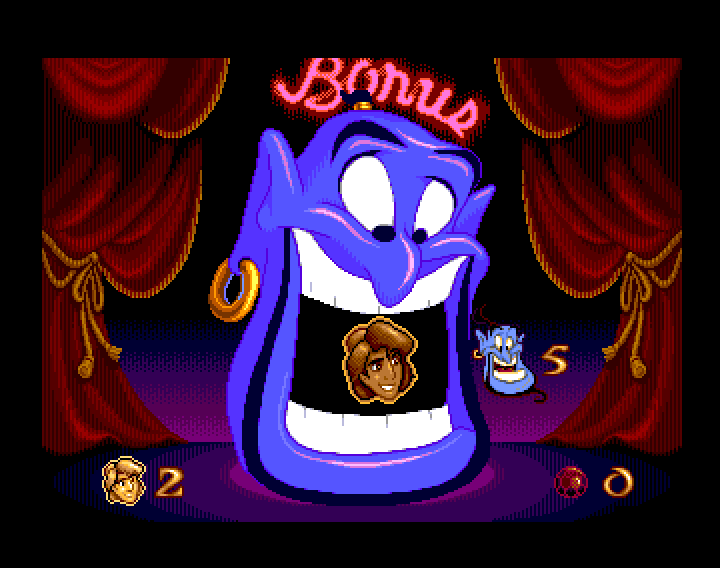 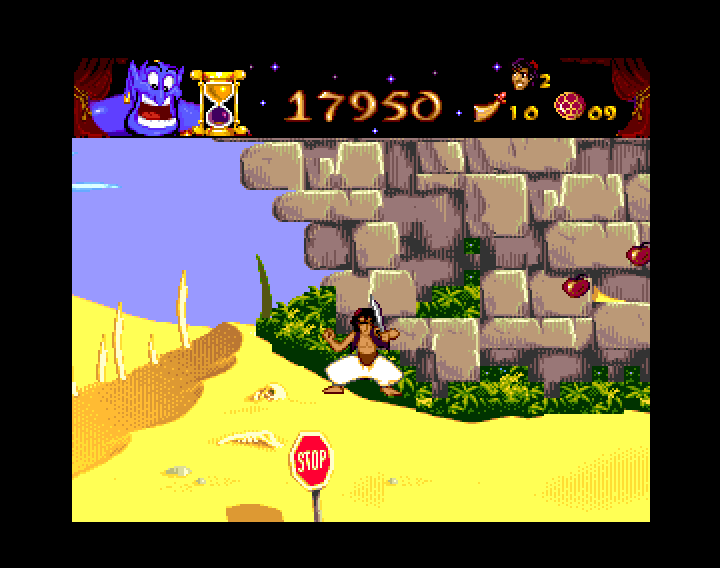 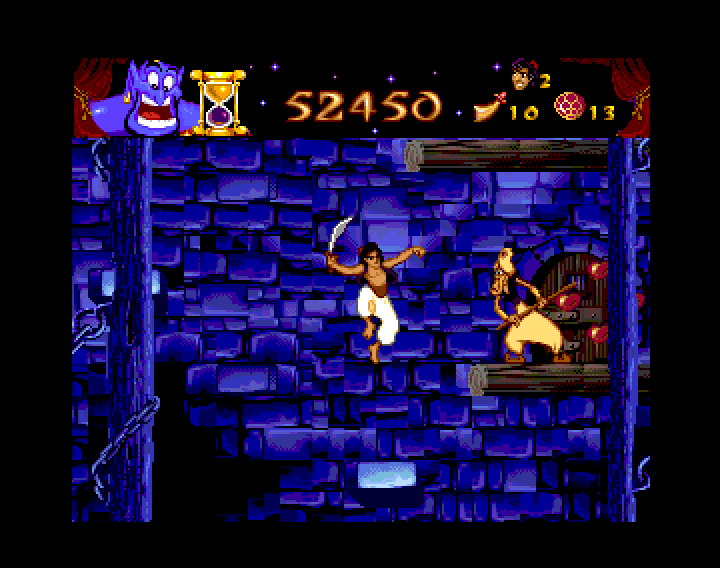 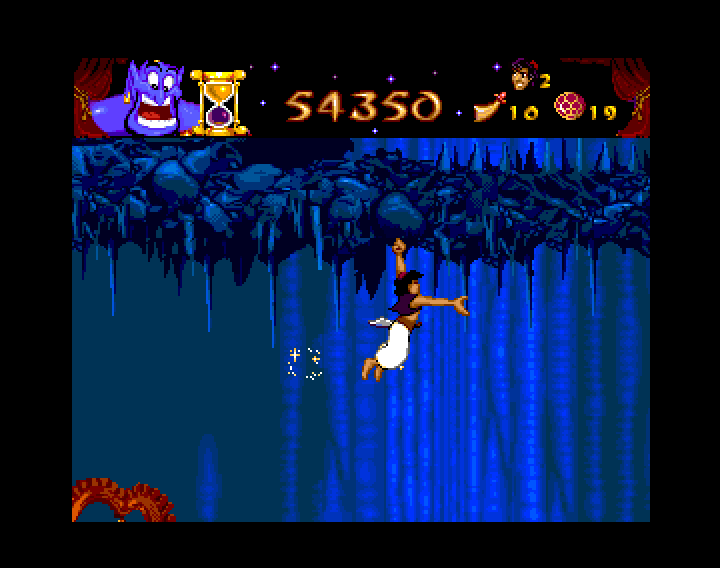 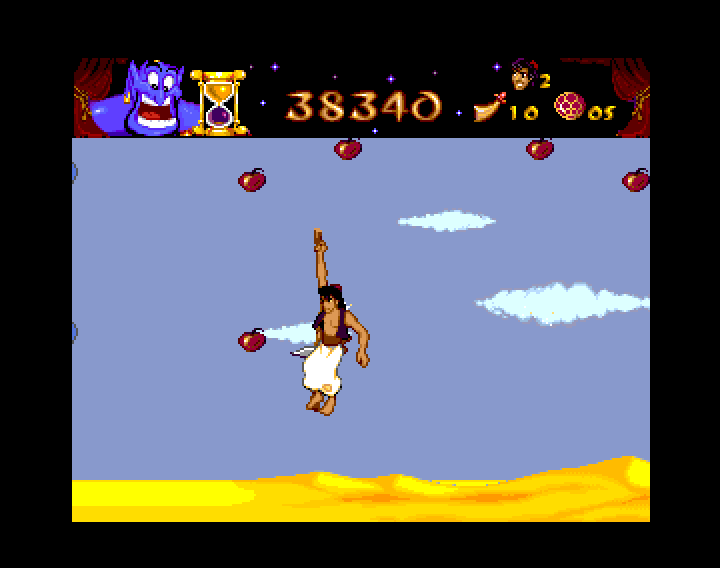 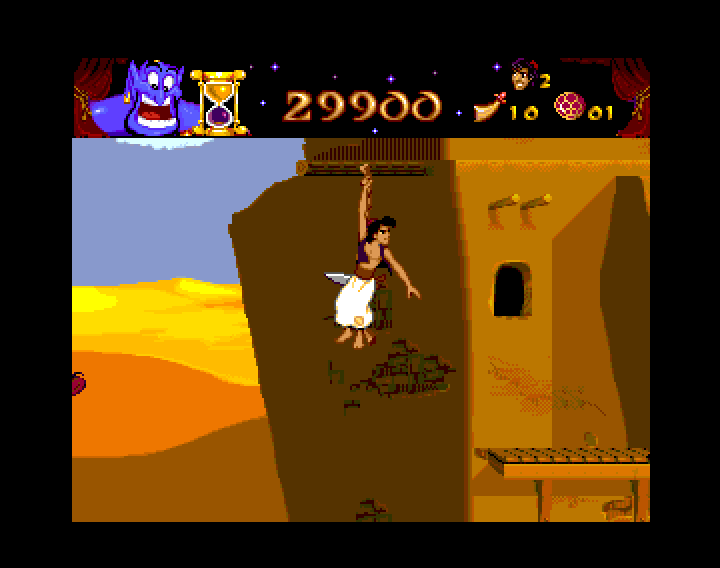 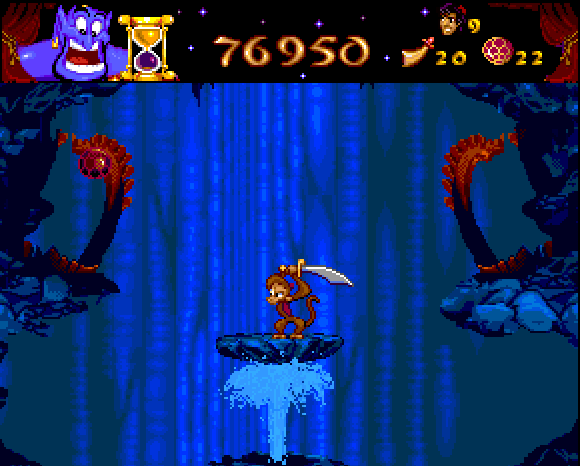 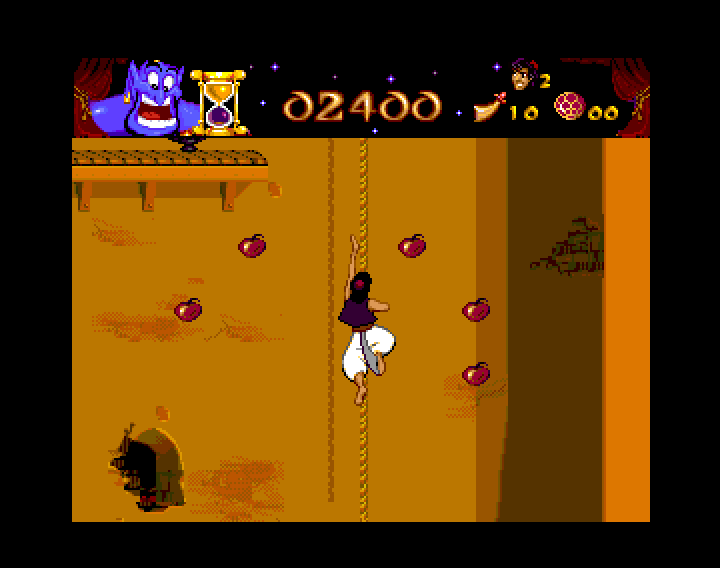 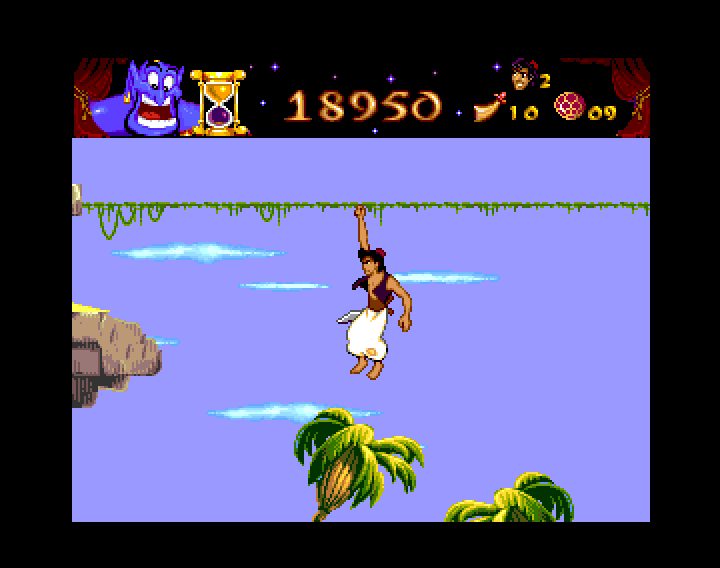 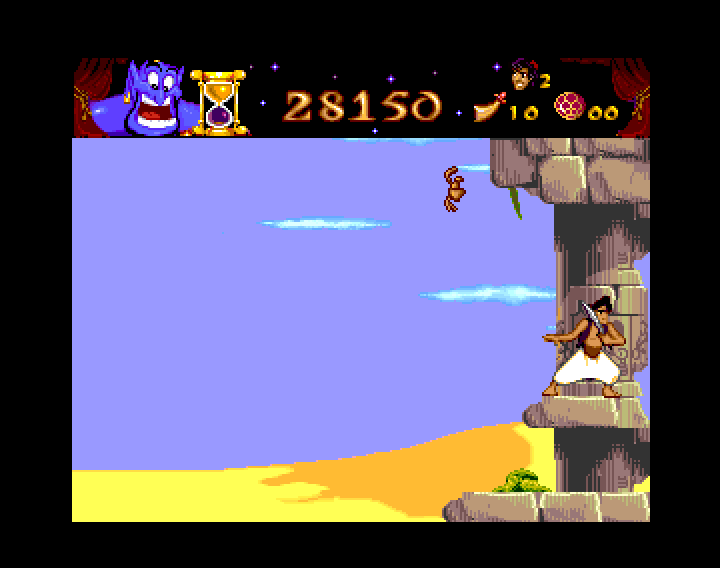 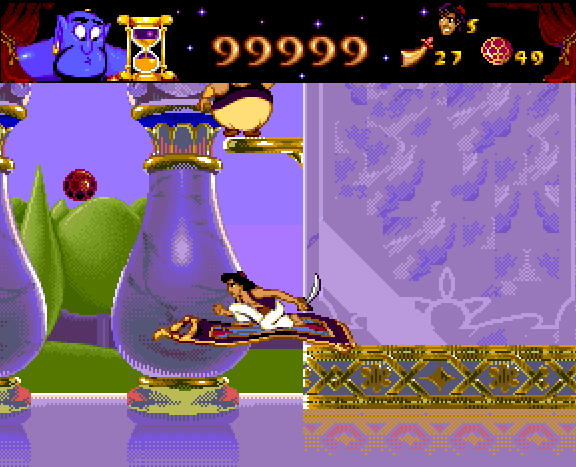 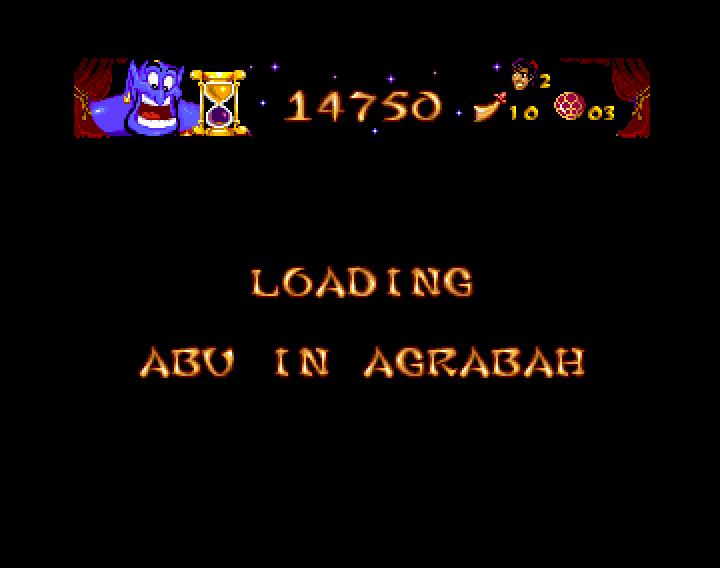 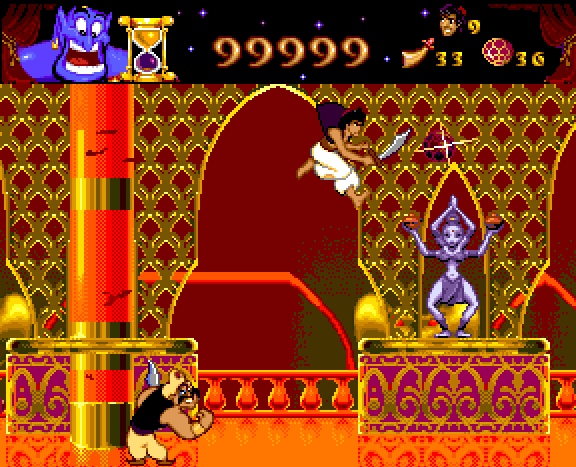 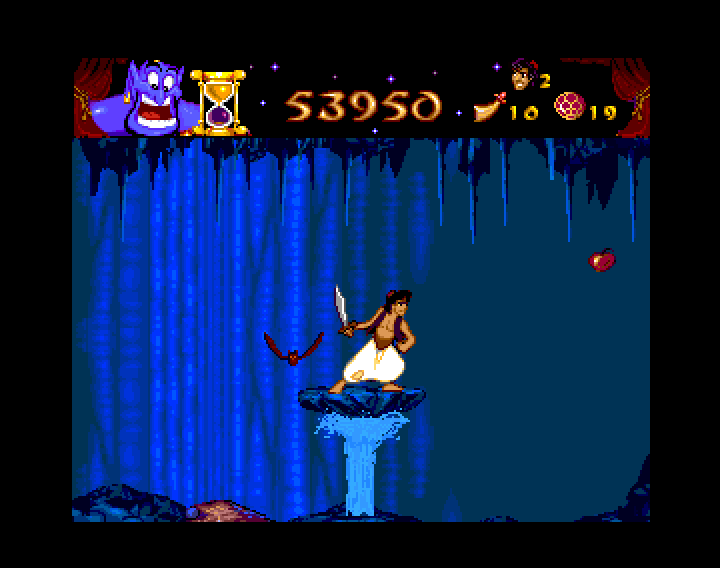 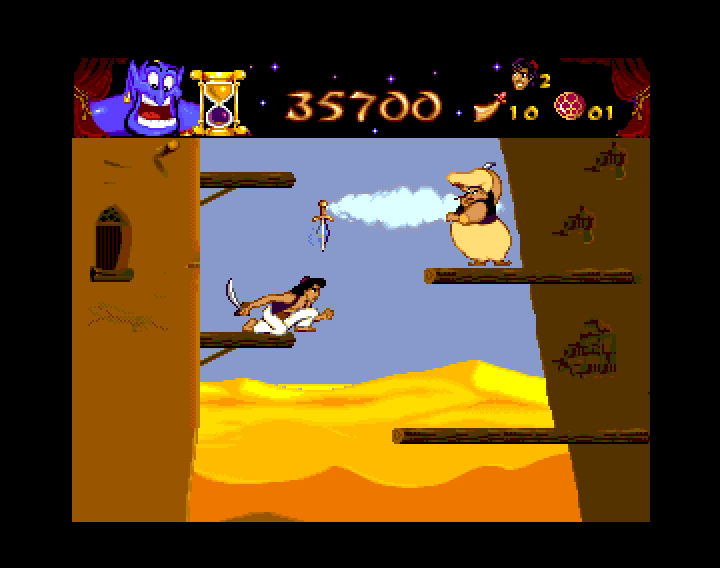 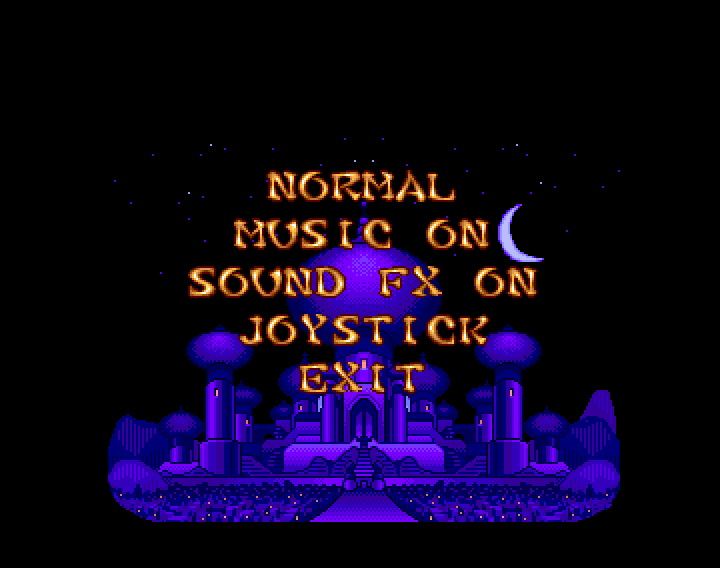 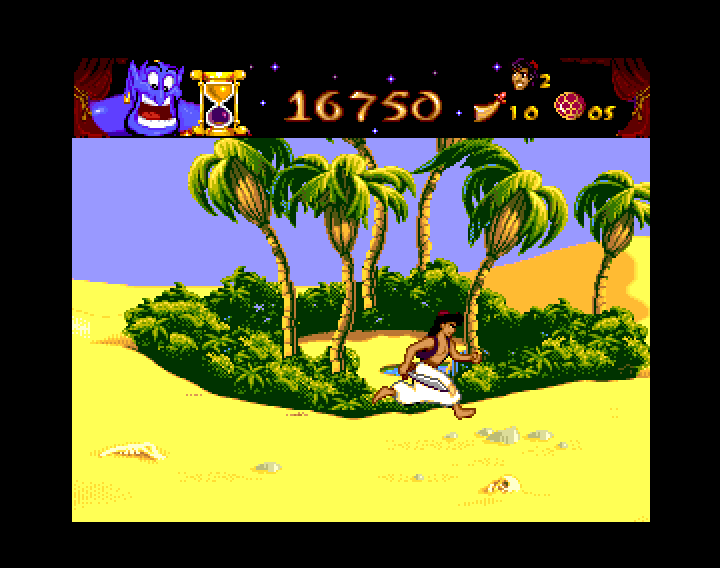 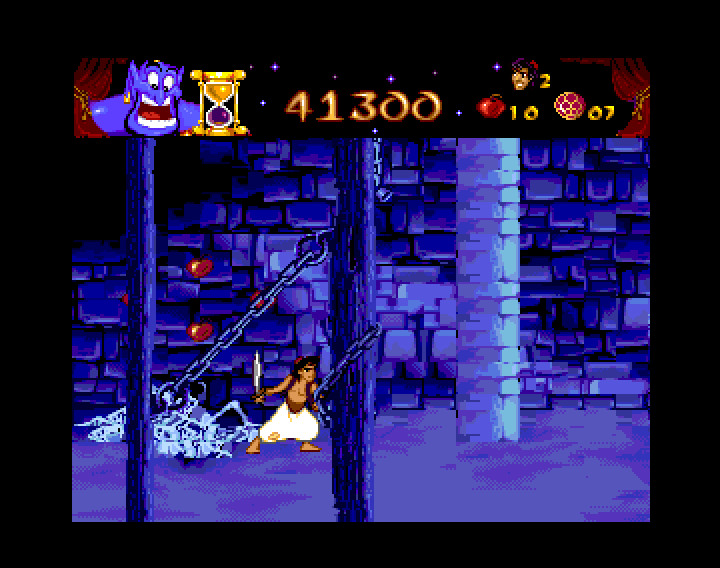 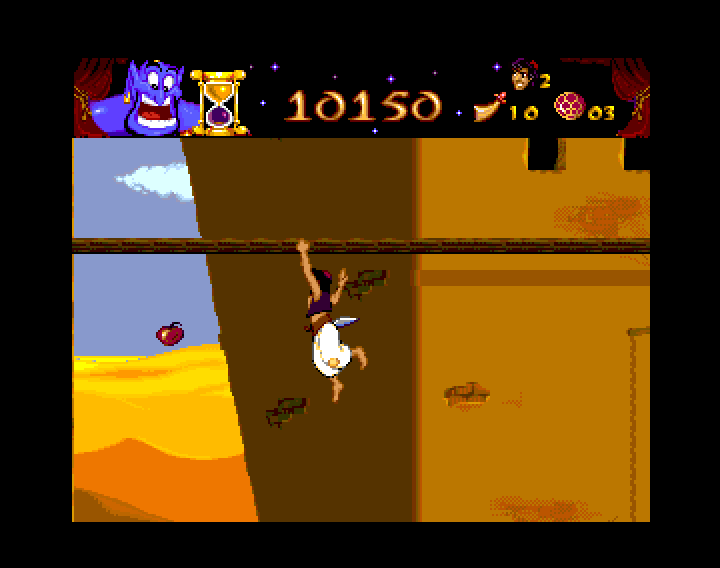 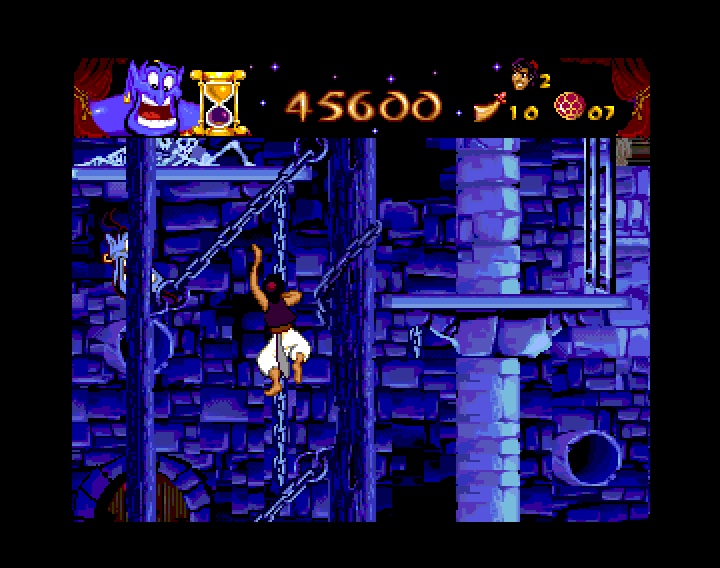 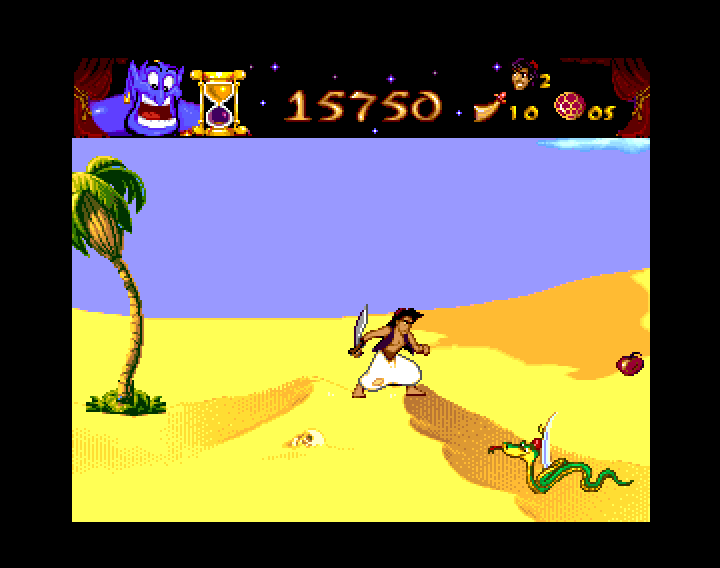 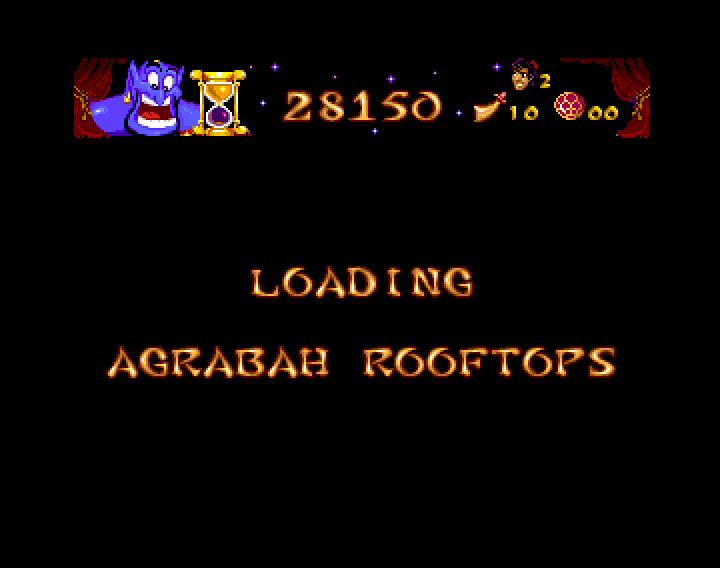 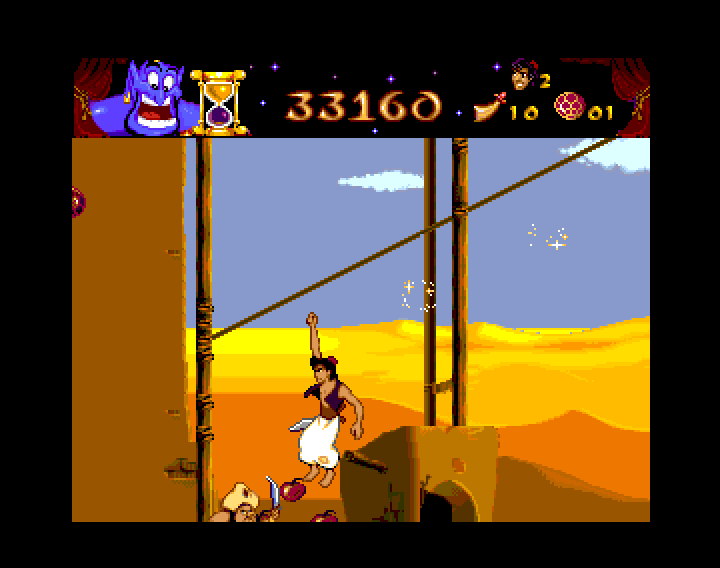 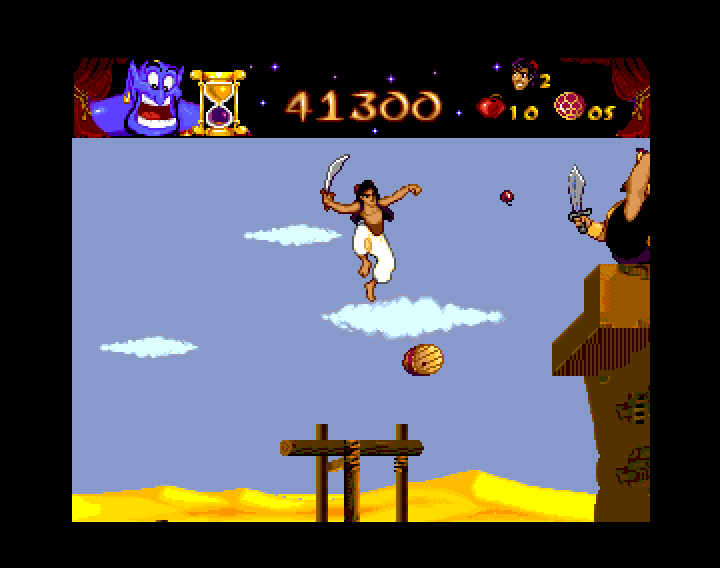 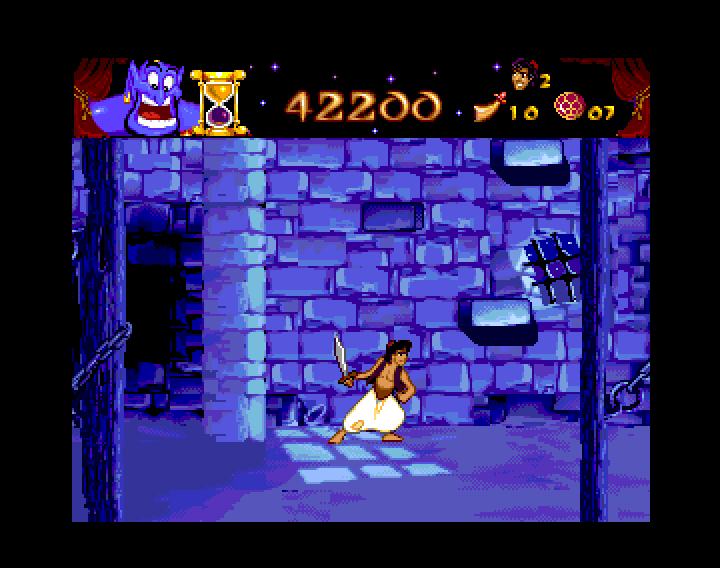 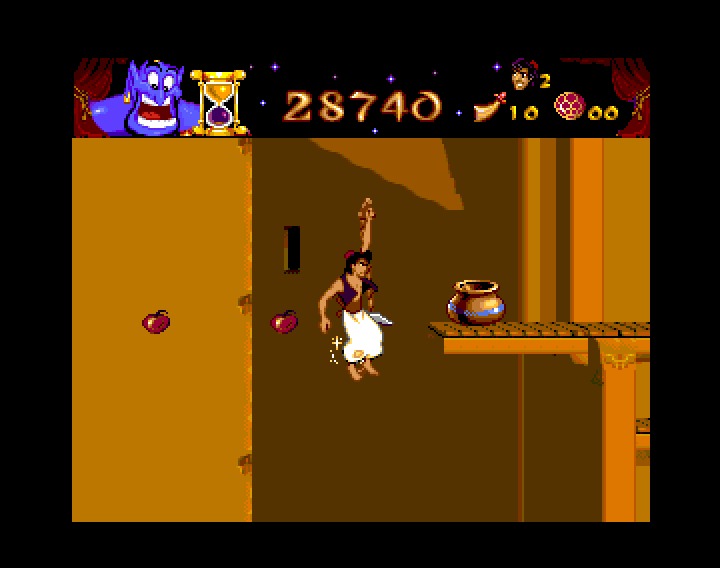 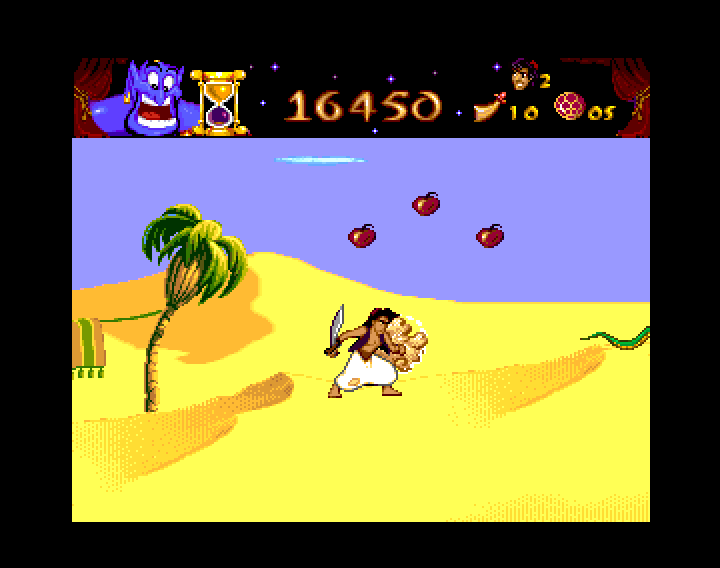 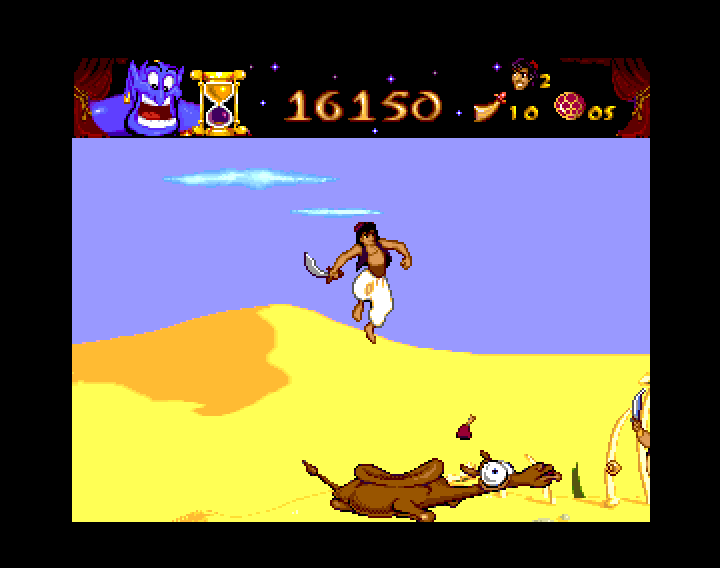 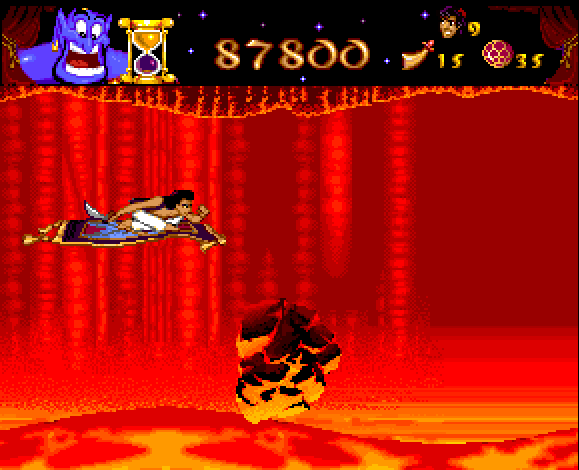 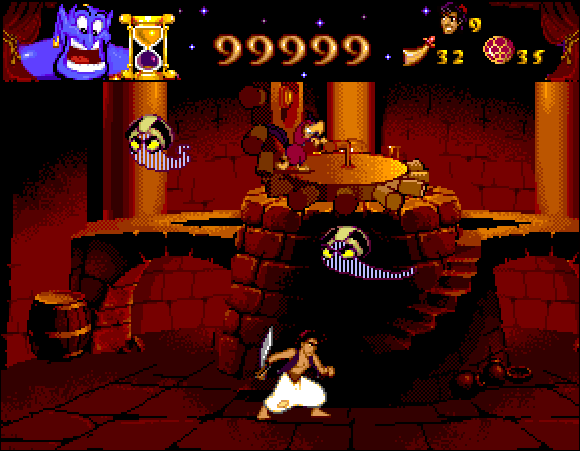 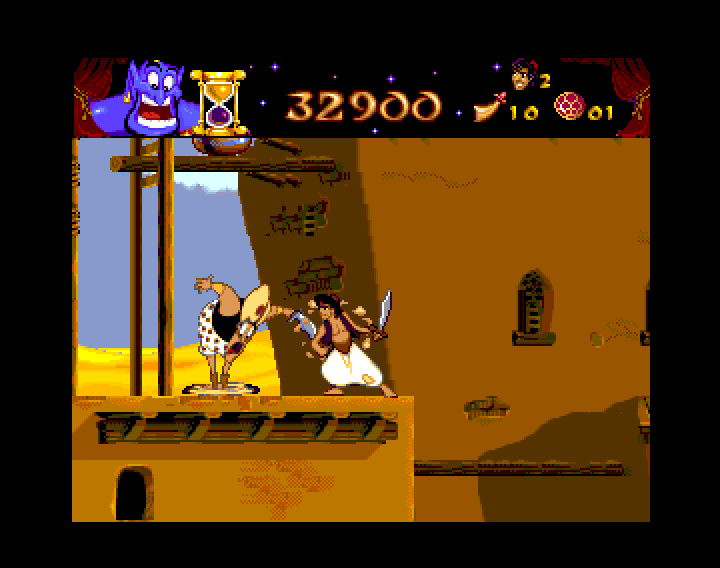 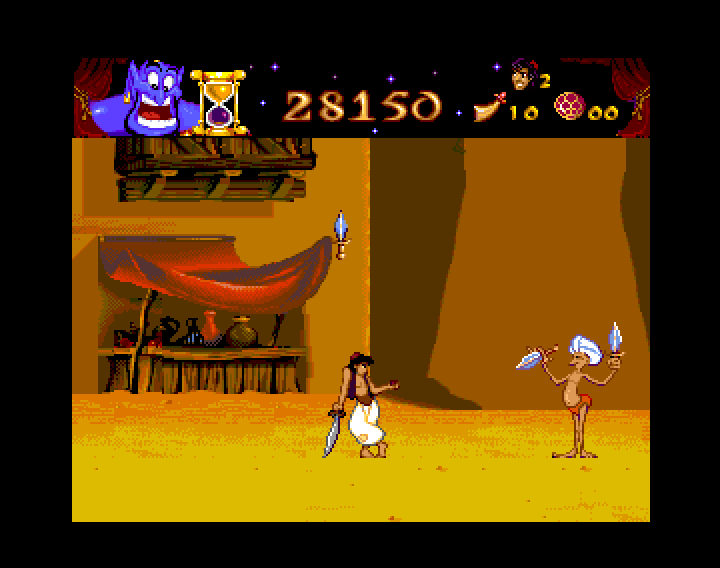 'Z'_______________Move Aladdin anywhere using the joystick. 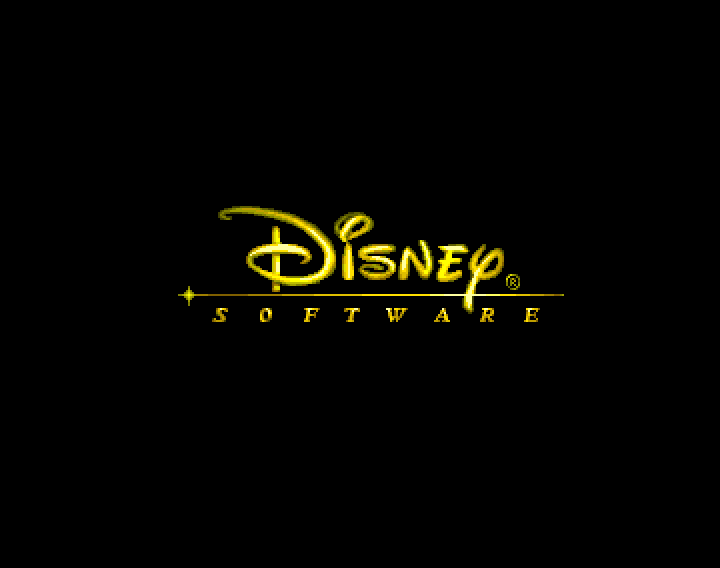 '+'__Speeds up movement when used in conjunction with 'Z'. 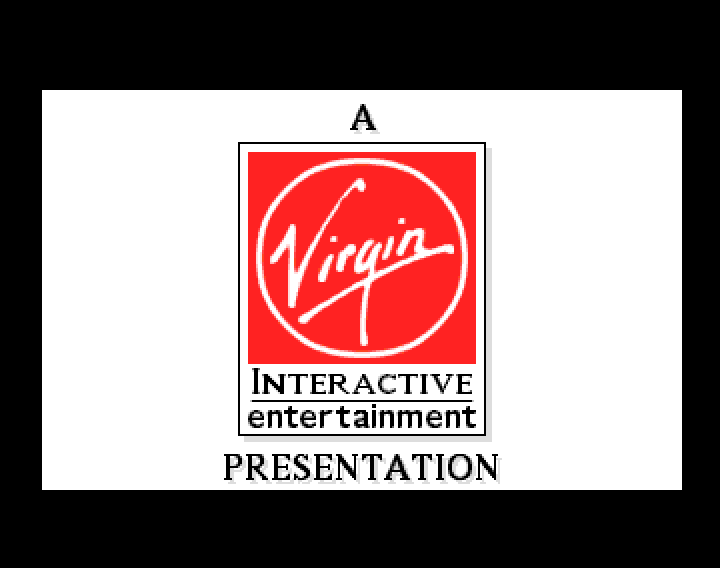 '-'__Slows down movement when used in conjunction with 'Z'. On the bonus game, pause the game and use the 'TAB' key to cycle through the bonuses until you get to the one you want (the free guy). 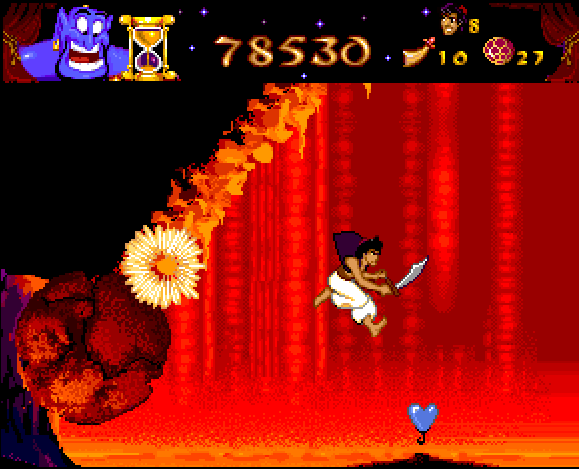 Now press the fire button and continue to hit 'TAB' until your lives go up by one. 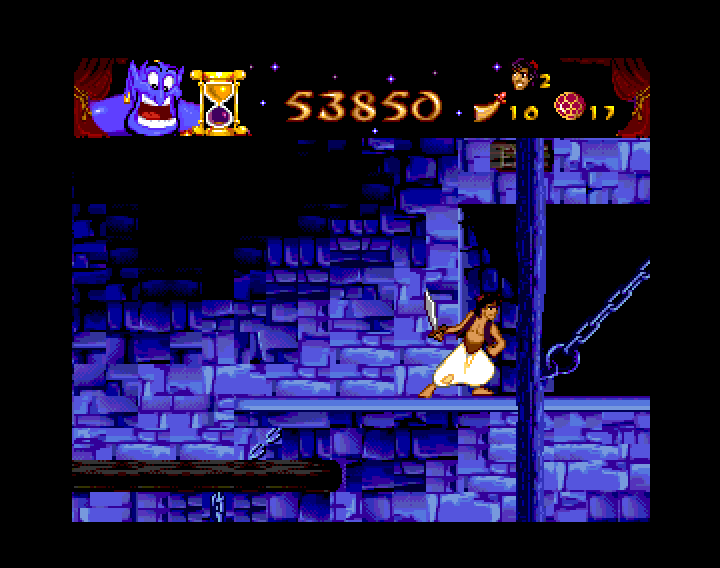 You can keep doing this until you get nine lives or run out of chances. 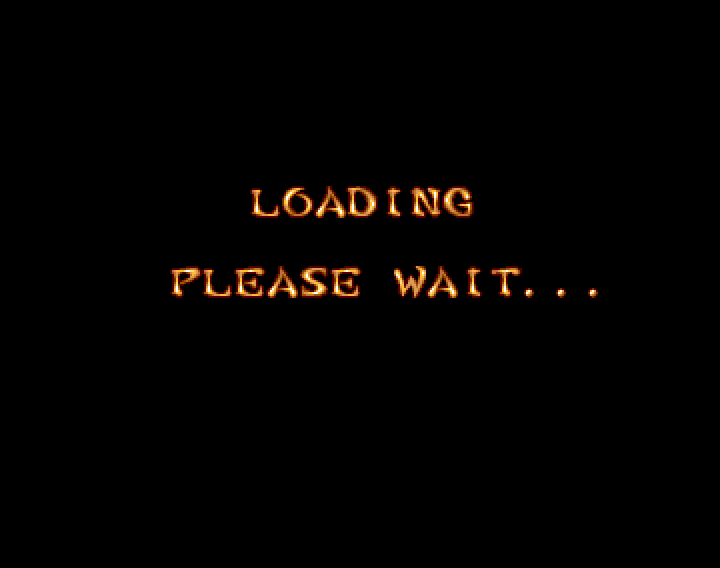 The game should now unpause. 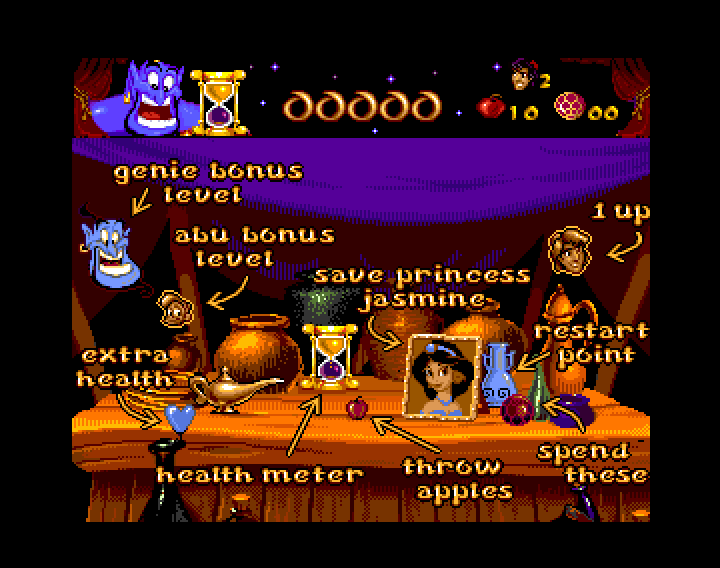 The cheats do exactly the same thing and only one will need to be activated. 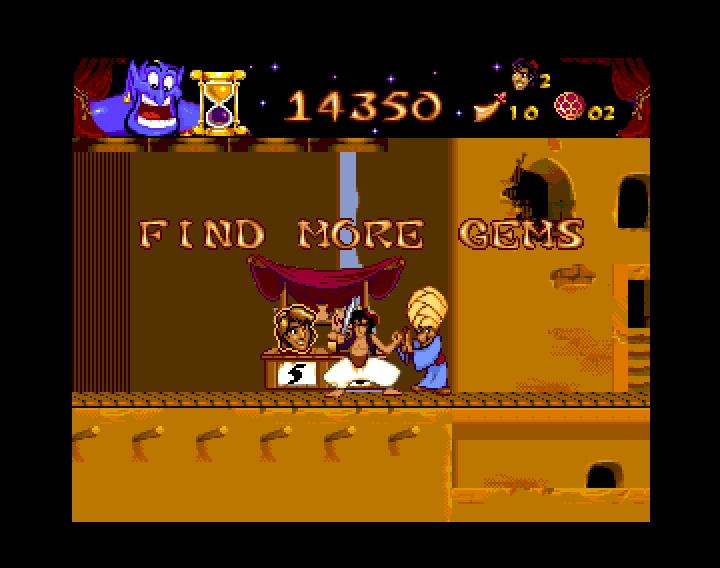 Use the keys listed above.